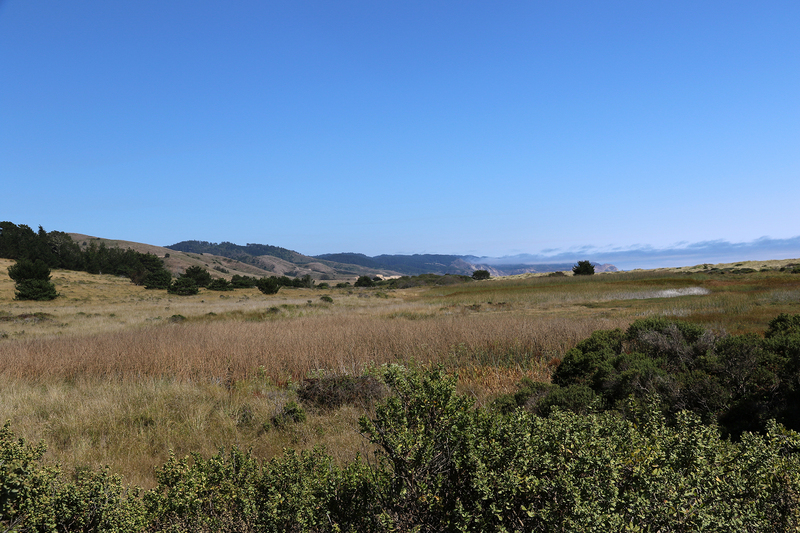 It was the early afternoon of Friday, August 12 as Sean and I made our way up the California coast north from Muir Woods National Monument and Golden Gate National Recreation Area to Point Reyes National Seashore. 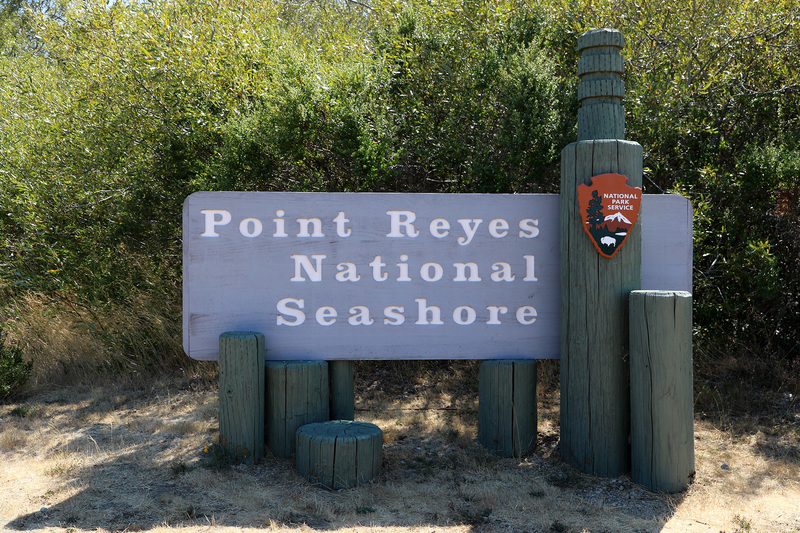 Established in 1962 to prevent impending development, the National Seashore protects over 71,000 acres of the California coast as a patchwork of federally-designated wilderness and “pastoral” lands used by ranchers. 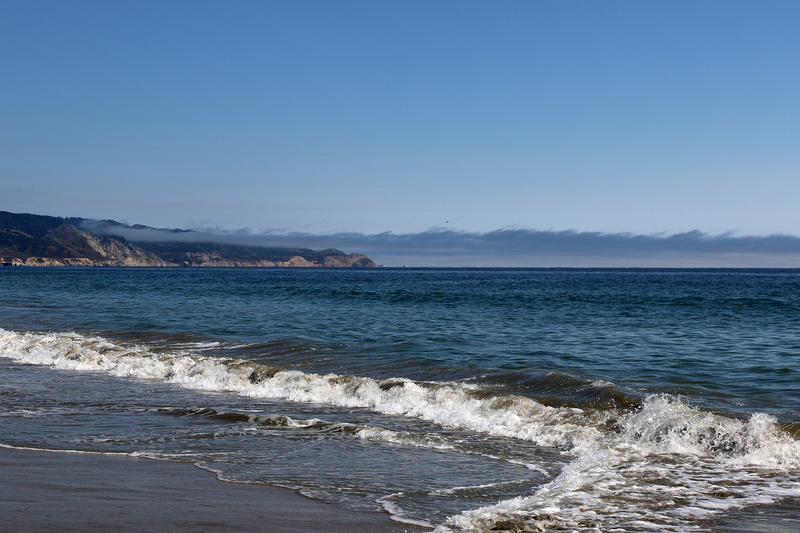 The Seashore comprises most of a huge, roughly triangular peninsula, Point Reyes, which sits on the eastern edge of the Pacific Plate, while the adjacent mainland is at the edge of the North American Plate. 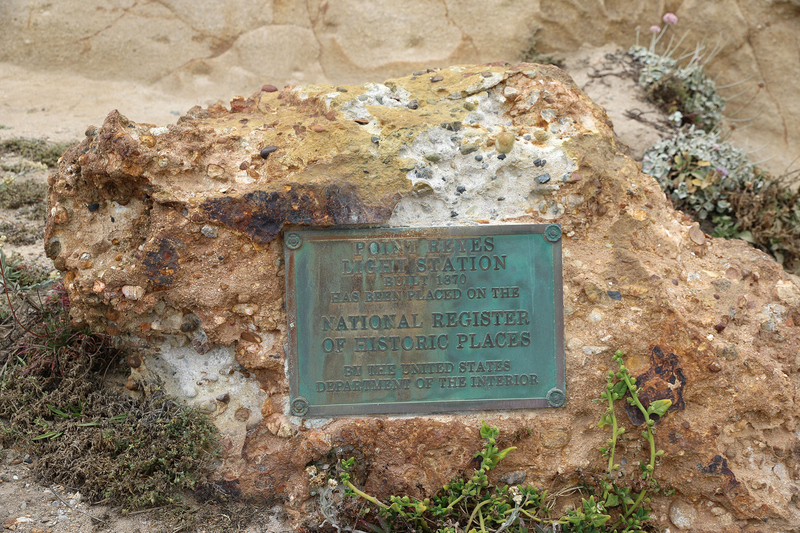 The two plates are separated where the peninsula connects to the mainland by the San Andreas Fault. 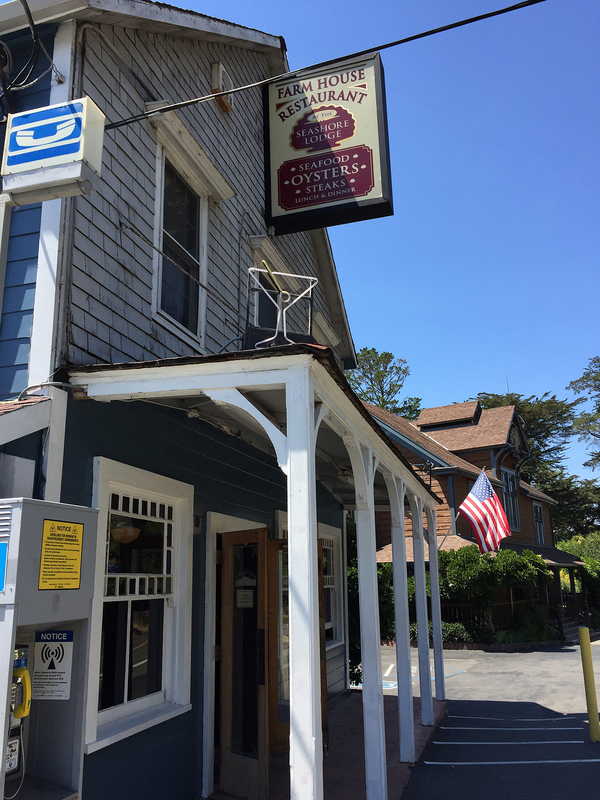 Although it didn’t take us long to drive up Highway 1 through little coastal towns, along winding cliffs, and past broad estuaries, when we got to Olema, California, just on the edge of Point Reyes, we were starving. So we stopped for lunch at Farm House Restaurant, which was great. By 3pm, we were fed and ready to explore. 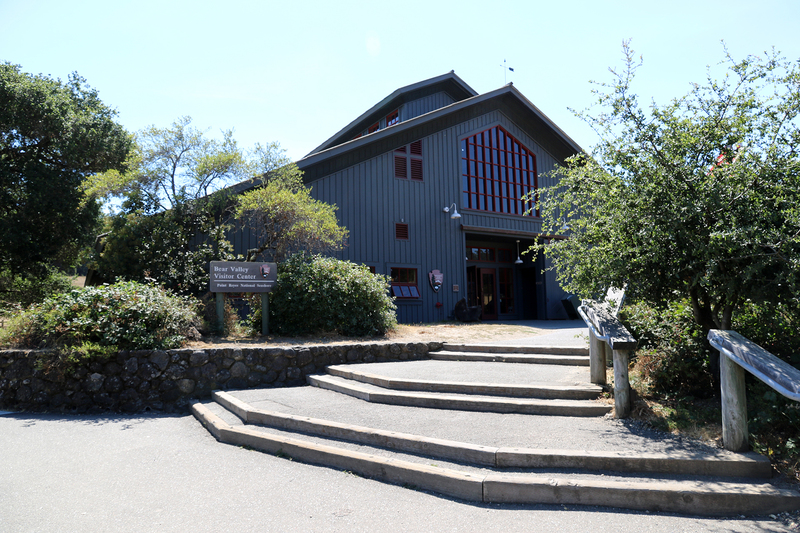 Our first stop was Bear Valley Visitor Center, which sits in a valley of glorious chaparral and oak savanna. 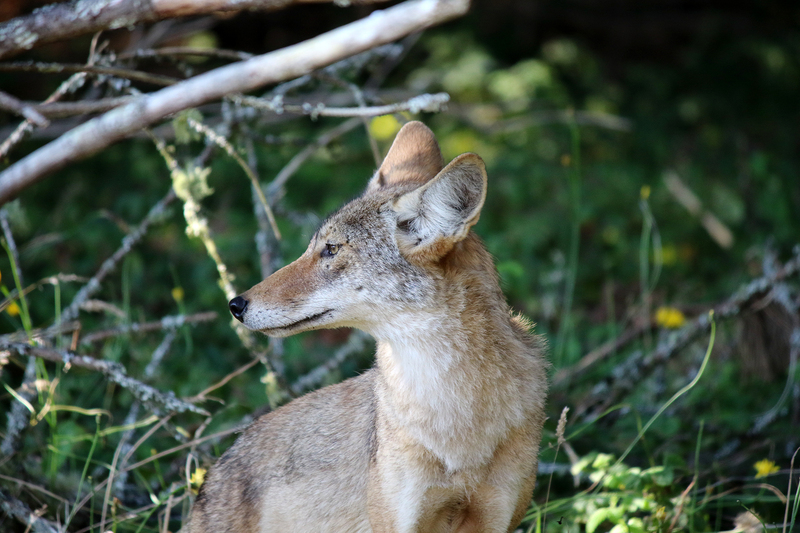 At the shop, I noticed a book, Coyote America: a Natural and Supernatural History by Dan Flores, which had just been published in June. I almost bought it, but I decided that my bags were already quite full for the ride home. Eventually I would buy it at home in Chicago and devour it during our next National Park trip. It was easily the best book I read in 2016. 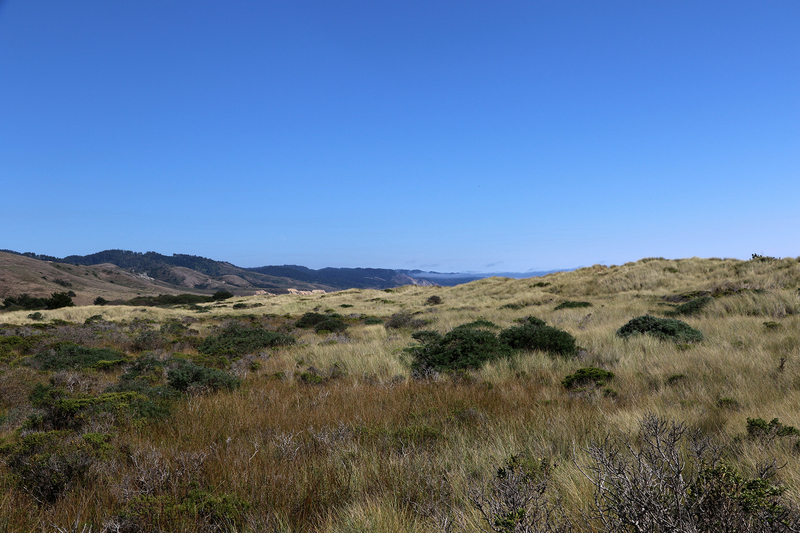 After the visitor center, we crossed Inverness Ridge on Limantour Road on our way to Limantour Beach. 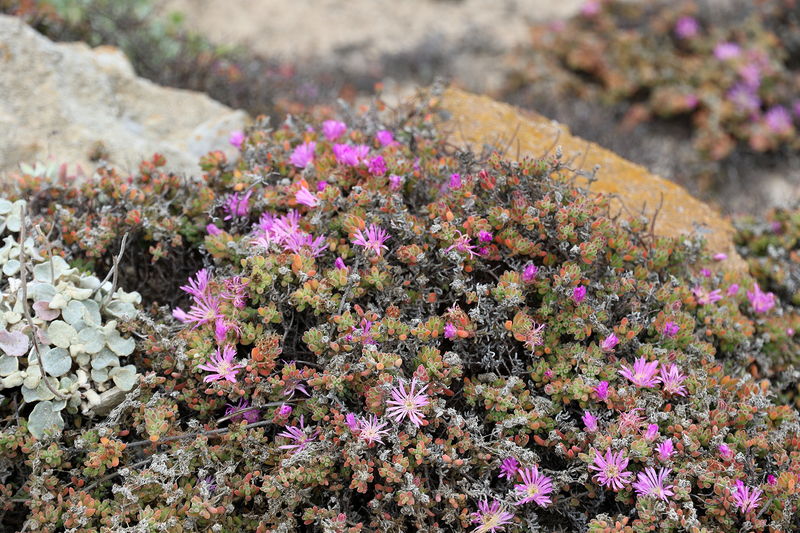 The road a rose, fell, and wound through prairie, scrub, and pine forest, occasionally offering views of the ocean as we approached. The landscape was gorgeous. 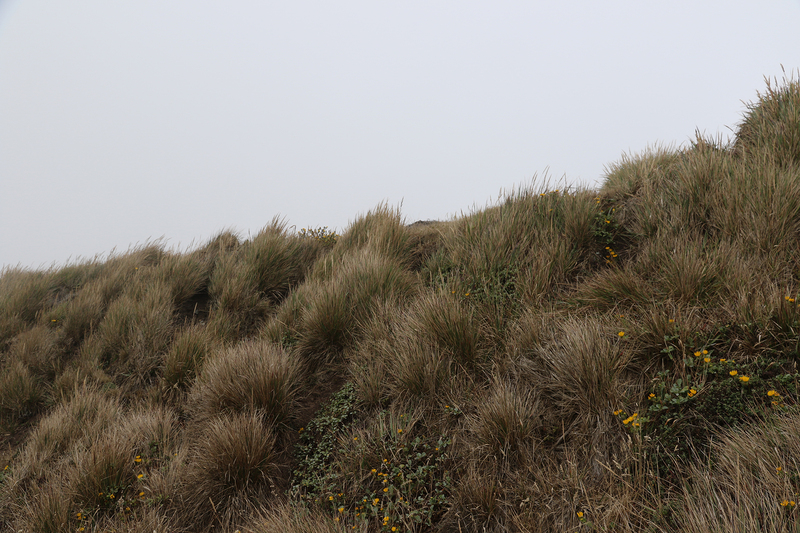 And I definitely want to return someday to explore it more fully, preferably in a multi-night backpack trip. 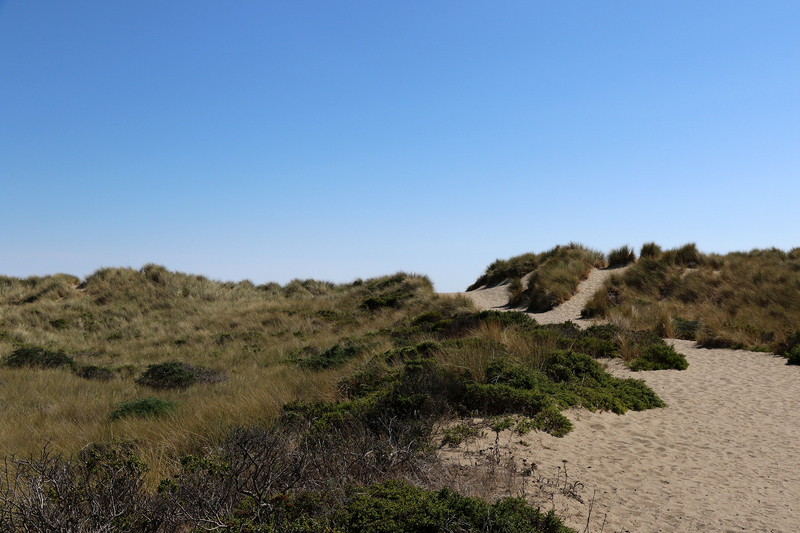 From the parking lot for Limantour Beach, which had a fair number of cars, a trail led through low-lying grasslands and over a series of low dunes to the beach. 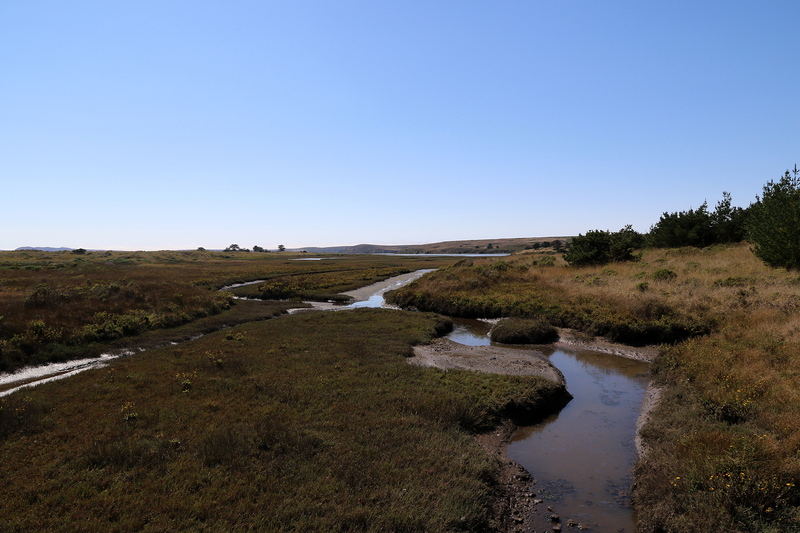 The trail also crossed wetlands at the edge of Estero de Limantour, which connects to the larger Drakes Estero. 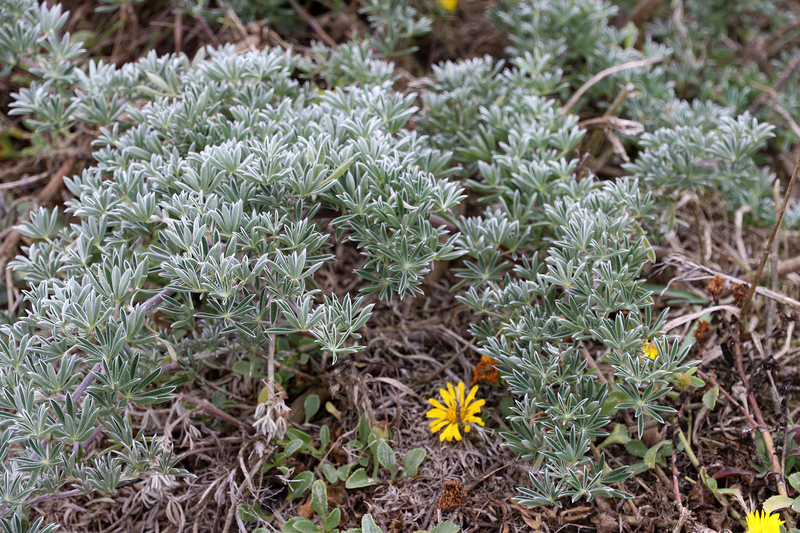 Both estuaries are state protected and are important for populations of Dungeness Crabs, clams, seals, and fish. 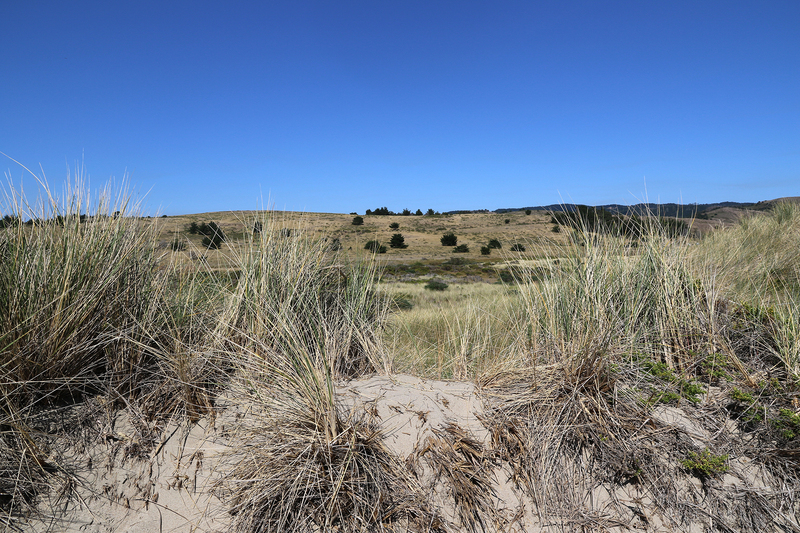 Out over the dunes we encountered a broad beach extending west to east/southeast. 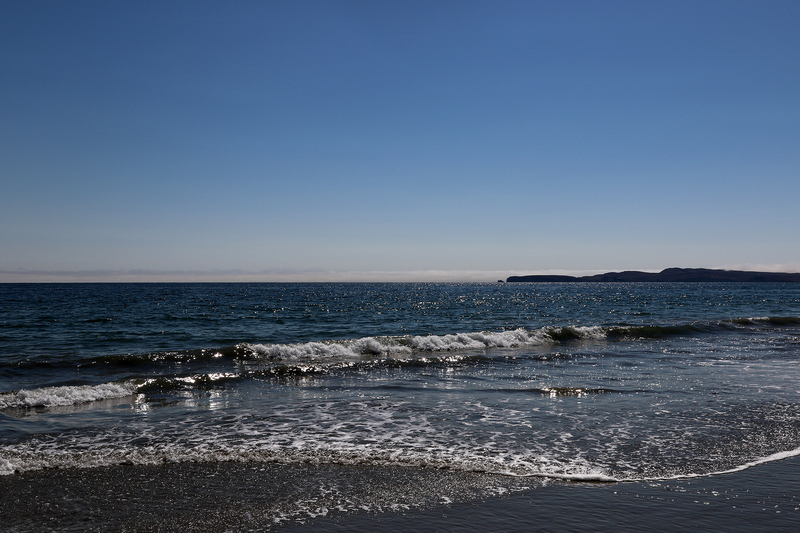 Off in the distance to the west was Chimney Rock at the tip of Point Reyes. 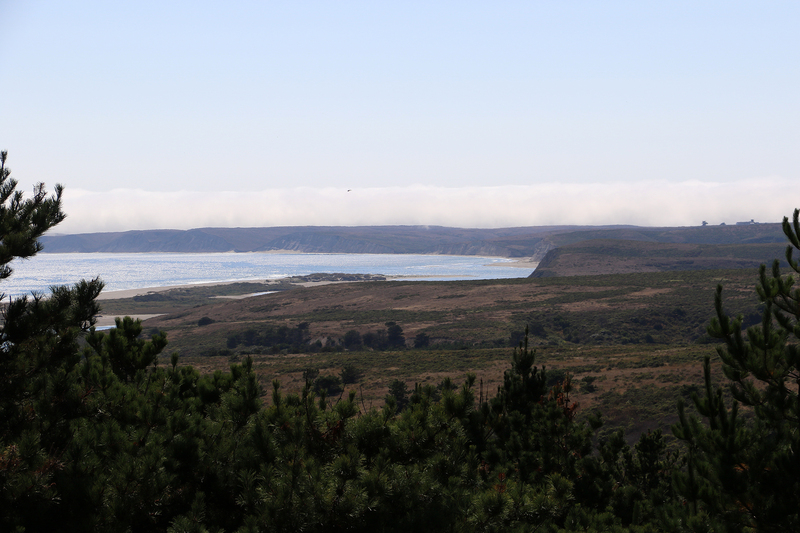 To the east/southeast, the bluffs curved toward Bolinas and the southern edge of the huge triangle of Point Reyes National Seashore. 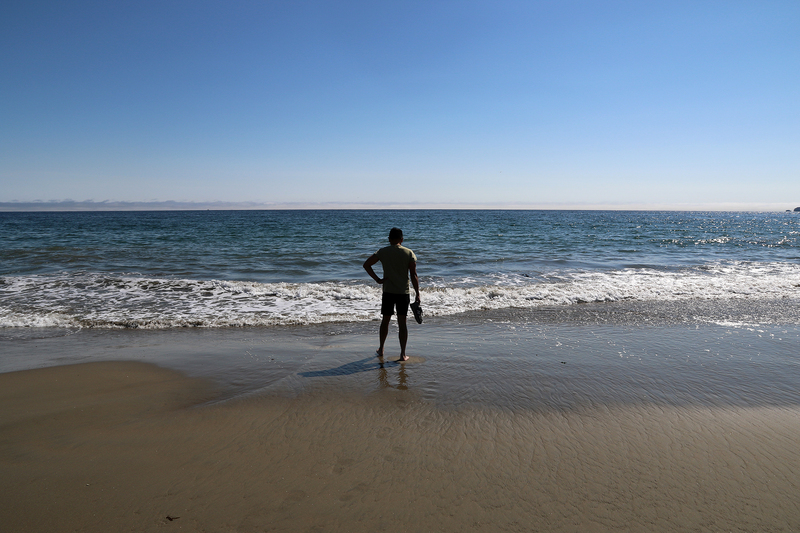 We shared the beach with a group of middle-schoolers, a number of families, and pairs of adults of various ages. But it did not feel crowded. 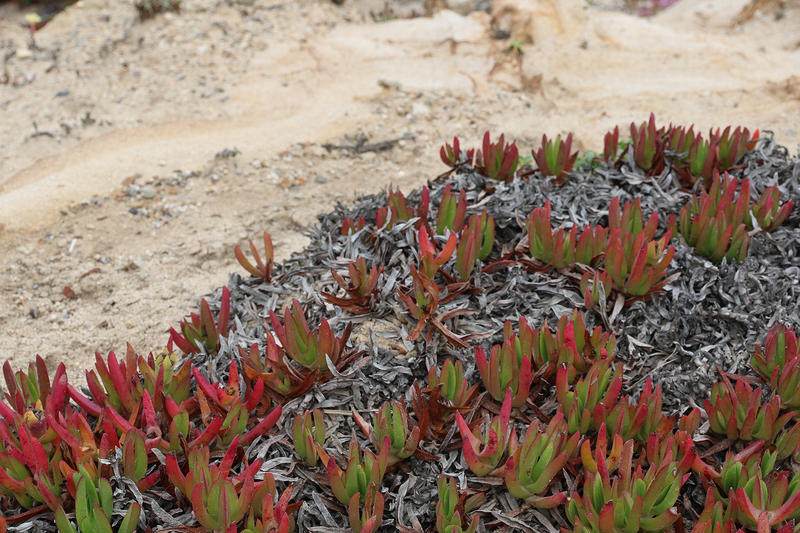 By the time we retraced our steps across the scrubland to the car, it was quarter after four. 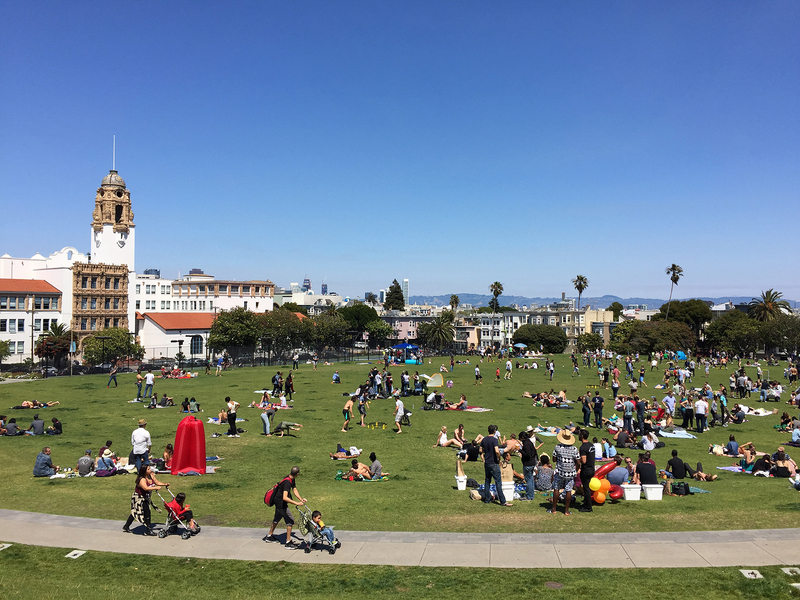 We still had about four hours until sunset, but we also knew that we had given very short shrift to a Park that deserved multiple days at least to explore and appreciate. 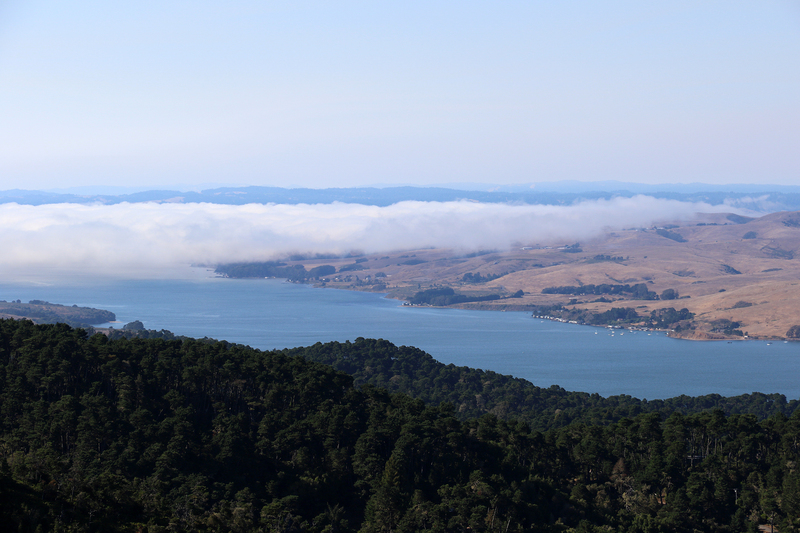 Back over Inverness Ridge, we headed northwest on Sir Francis Drake Boulevard and skirted the western shore of Tomales Bay. 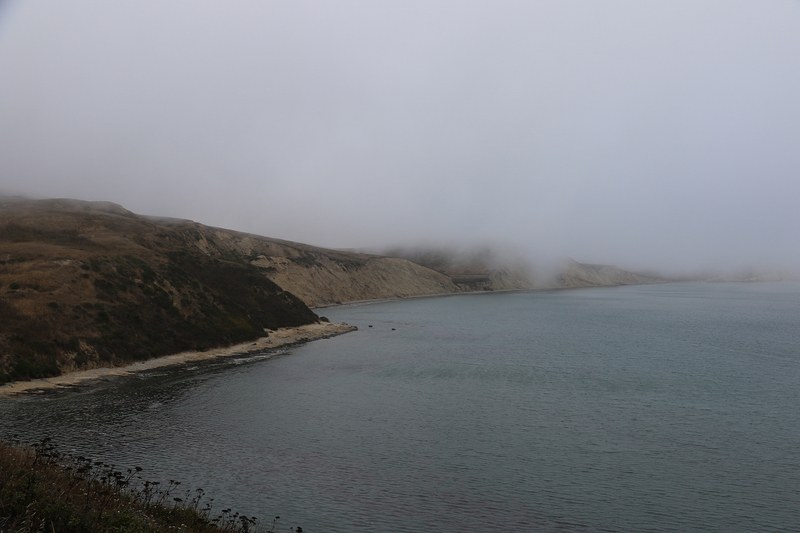 Fifteen miles long and about one mile wide, it separates the bulk of Point Reyes from the mainland. 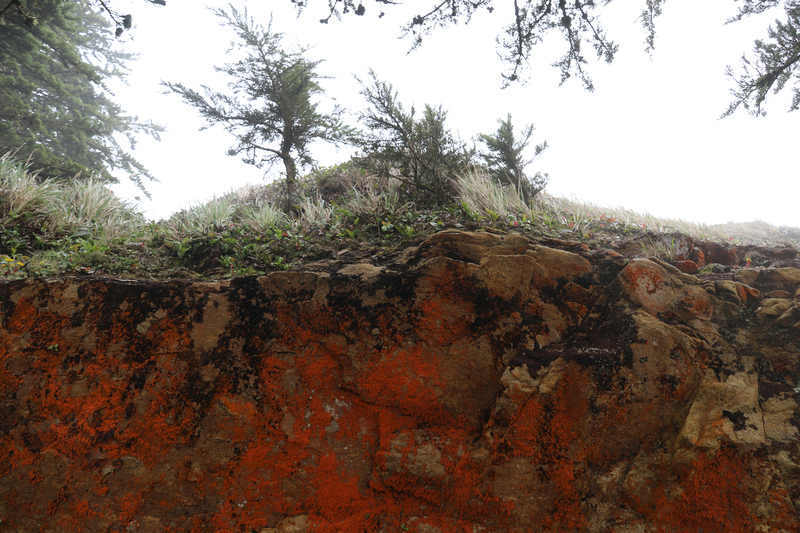 It also lies directly above the San Andreas Fault. 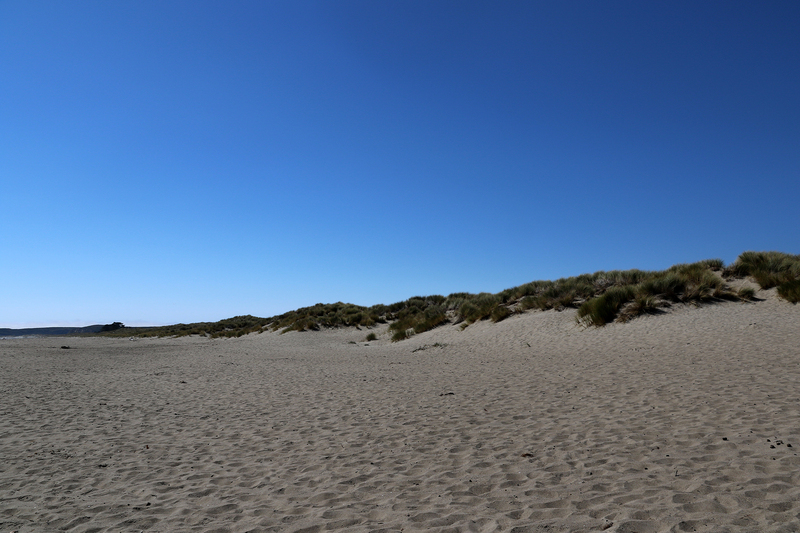 From where we were standing on the Pacific Plate, we were looking across to the North American Plate on the eastern shore. 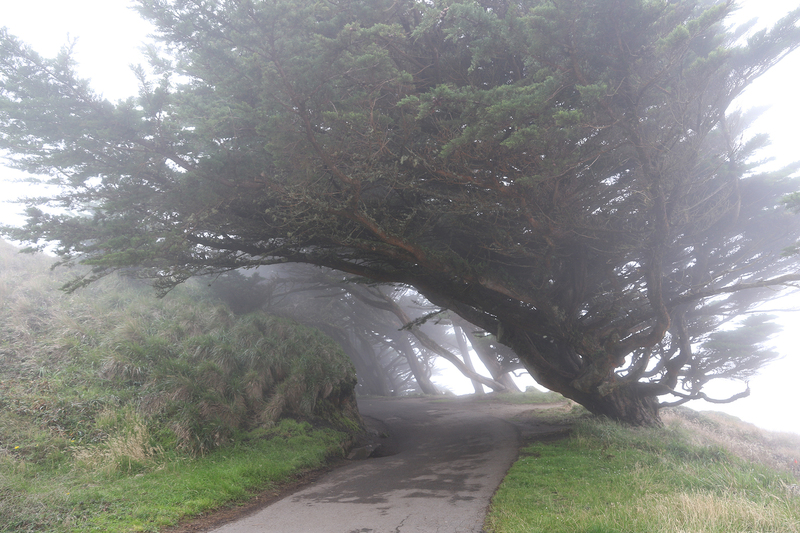 We continued on Sir Francis Drake Boulevard as it curved southwest, ultimately to its end near Point Reyes Lighthouse. 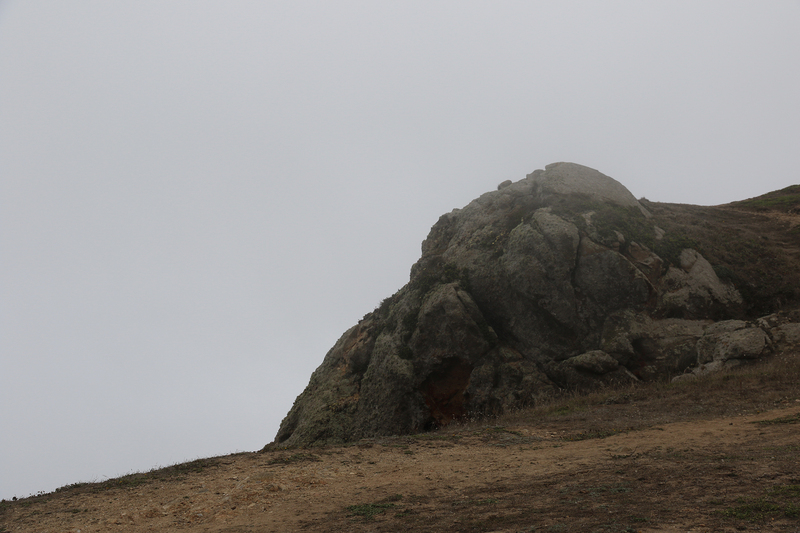 At Mount Vision Road, we turned left and began a twisting, switchbacked climb up the ridge. Near road’s end we spotted a Coyote going along at the edge of the road. 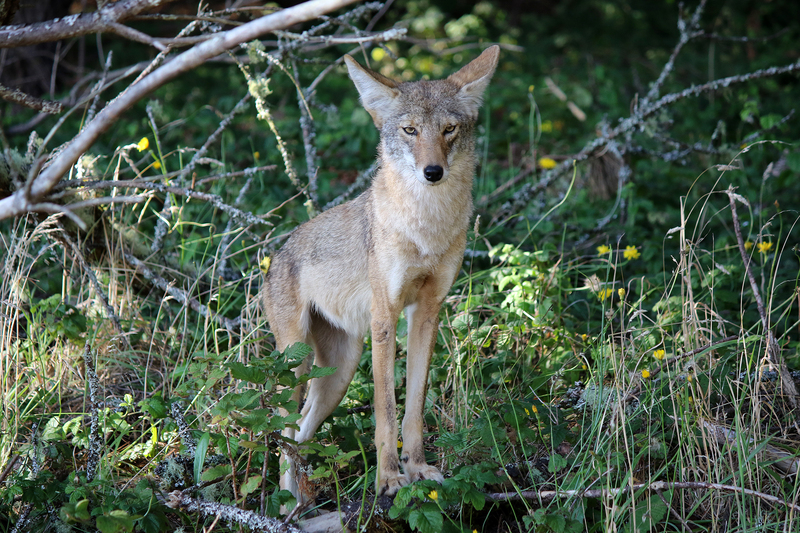 We slowed down as he stepped into the brush. 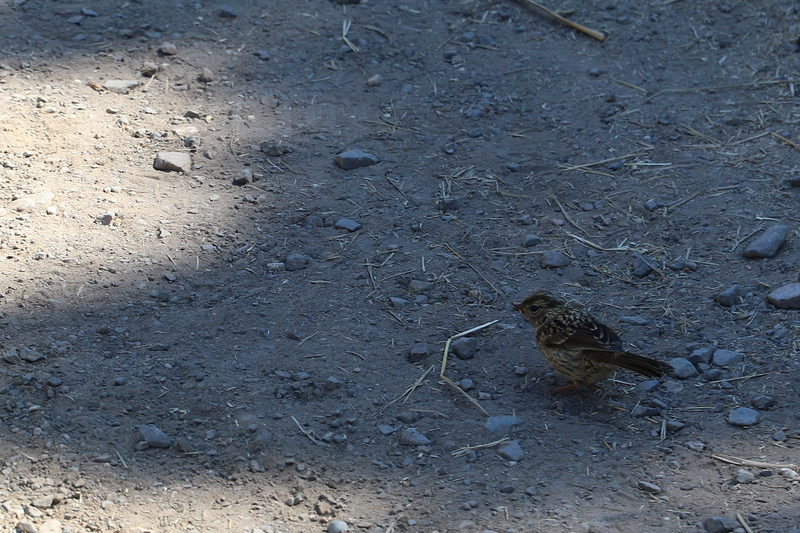 We stopped opposite as he regarded us. 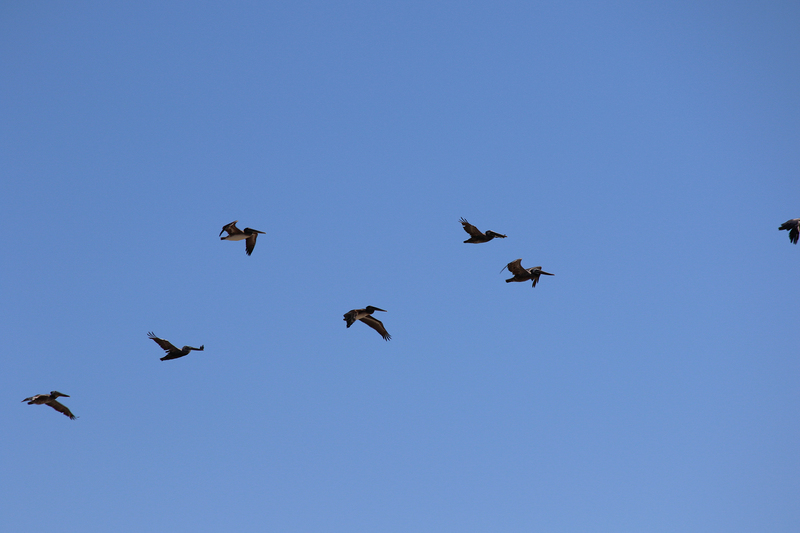 Then, after a bit, he continued on his way. 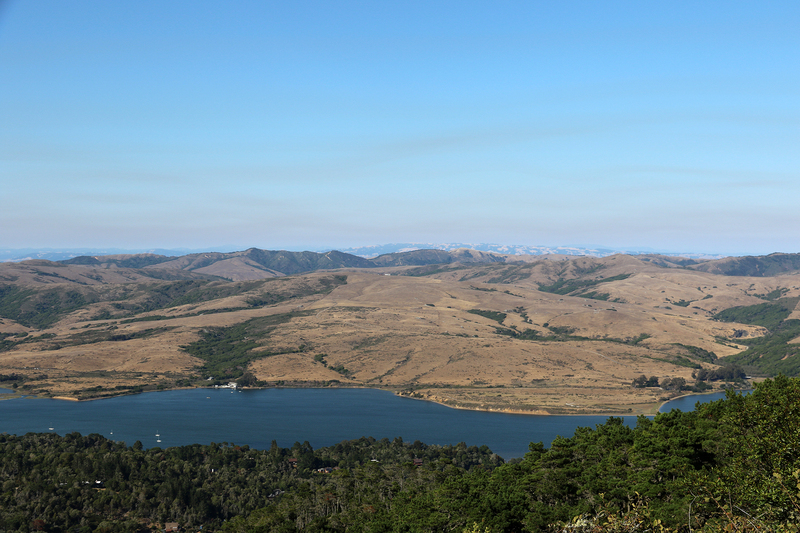 Inverness Ridge Trail departed from the parking area at the end of the road, but there wasn’t a view so we backtracked a bit to Mount Vision and had a look at its view of Tomales Bay and the land of the North American Plate beyond. 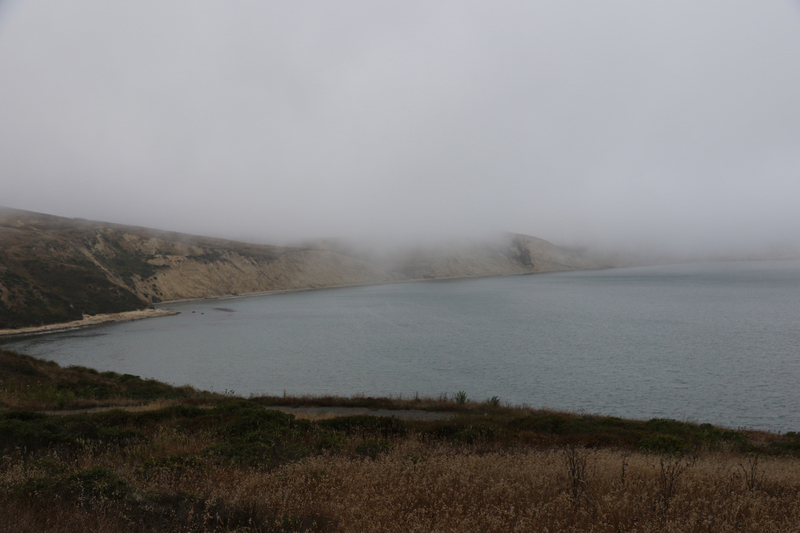 To the north, near the mouth of Tomales Bay, a thick layer of fog was rolling in. 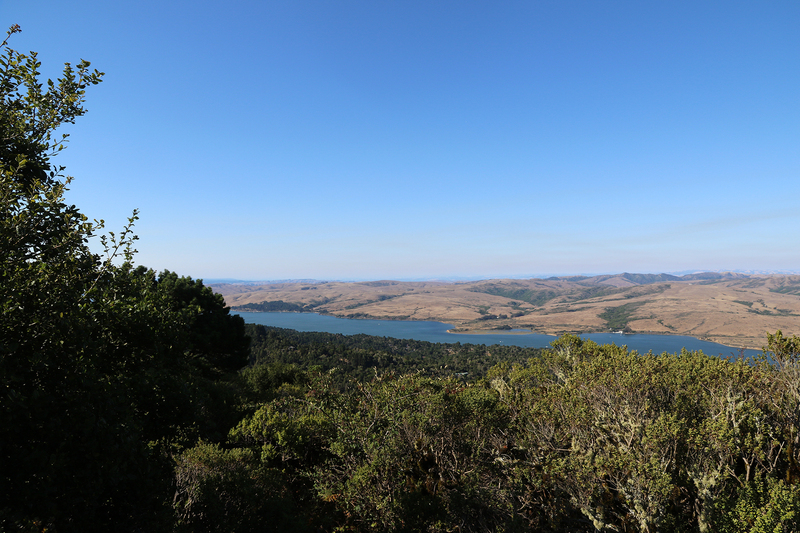 As we descended Mount Vision Road, we stopped for views of Drakes Estero and Estero de Limantour. 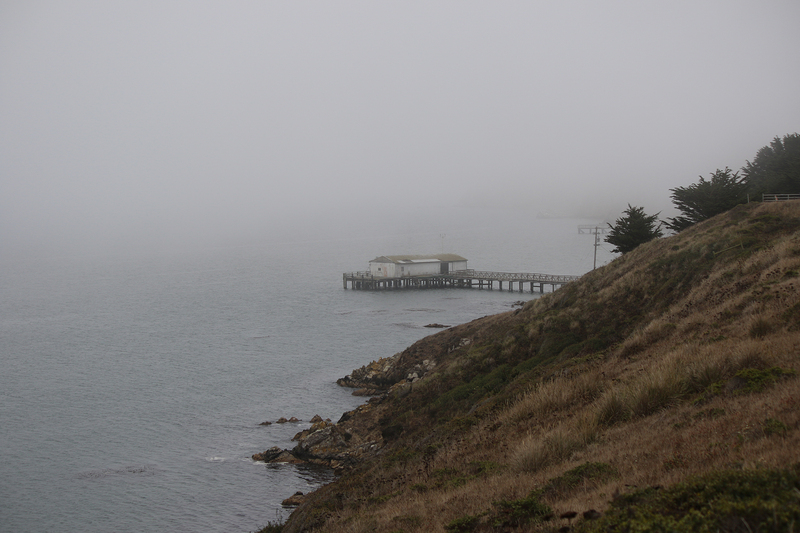 We also noted that the thick fog was rolling rapidly in from the west, covering Point Reyes like a blanket. 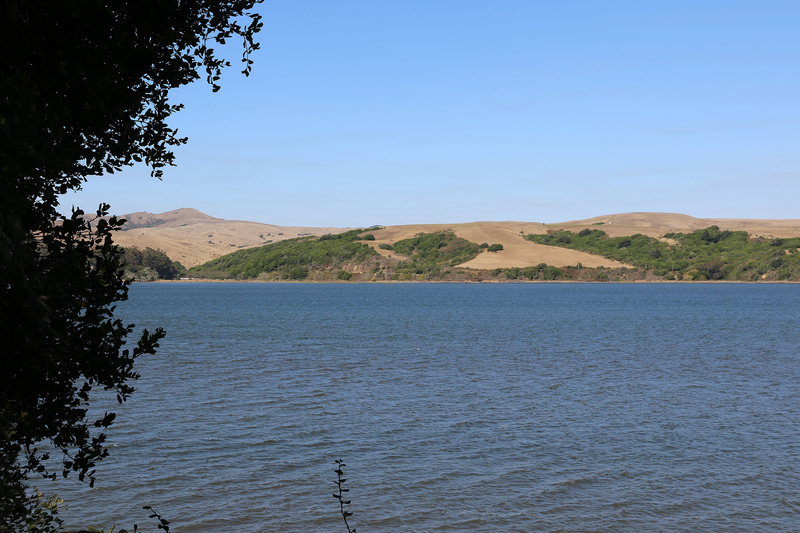 At the end of Mount Vision Road, we turned left on Sir Francis Drake Boulevard and soon emerged into the “Pastoral Lands” of Point Reyes National Seashore. 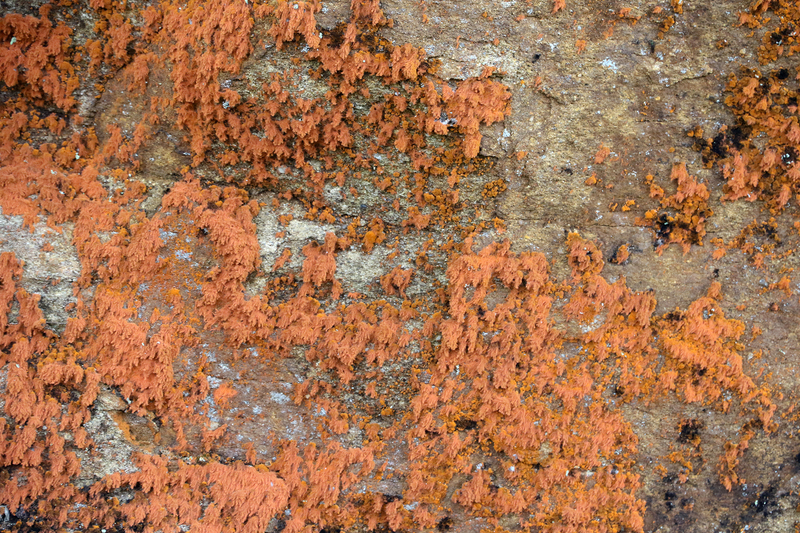 This is the term for the inholdings of historic family dairy farms and cattle ranches. Signs count off the ranches by number as visitors make their way along the Boulevard. 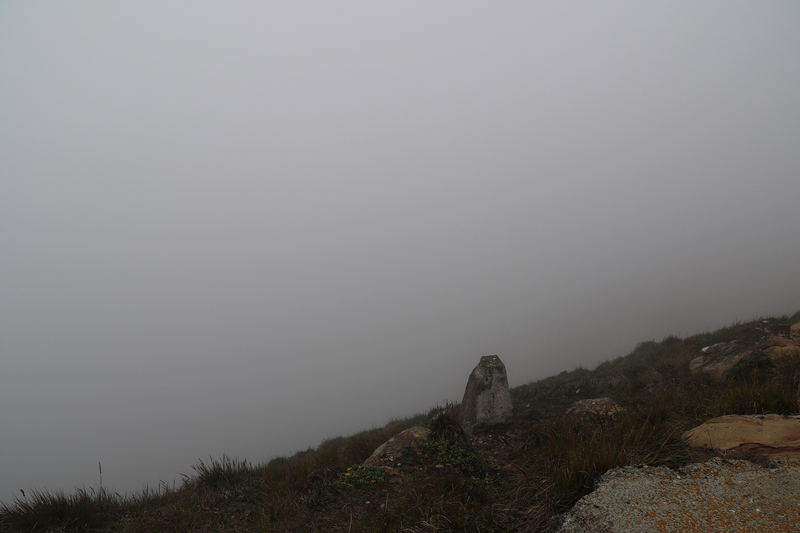 We were now well into the blanket of fog, with only a tiny last glimmer of sunlight on the mouth of Drakes Estuary off to the left (visible in the image below) before the world was entirely swallowed up by the afternoon fog. 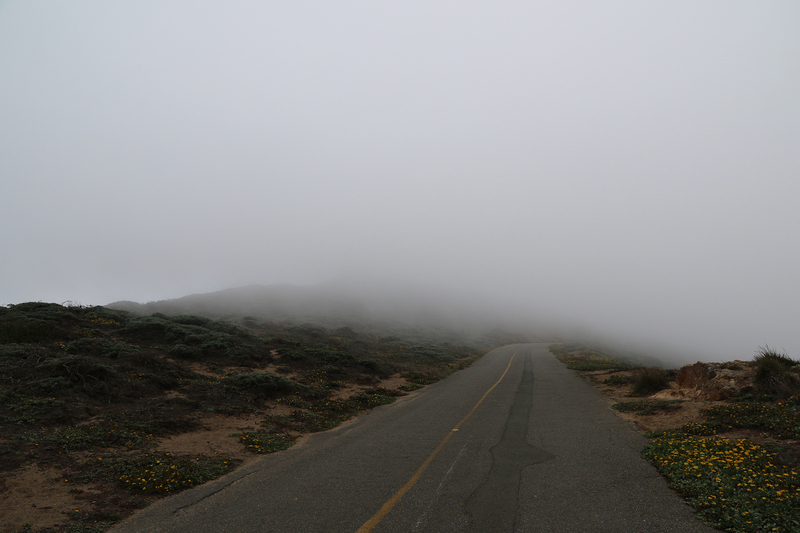 The road undulated with the landscape, and the fog made our trip to the edge of the continent feely eerie and momentous. 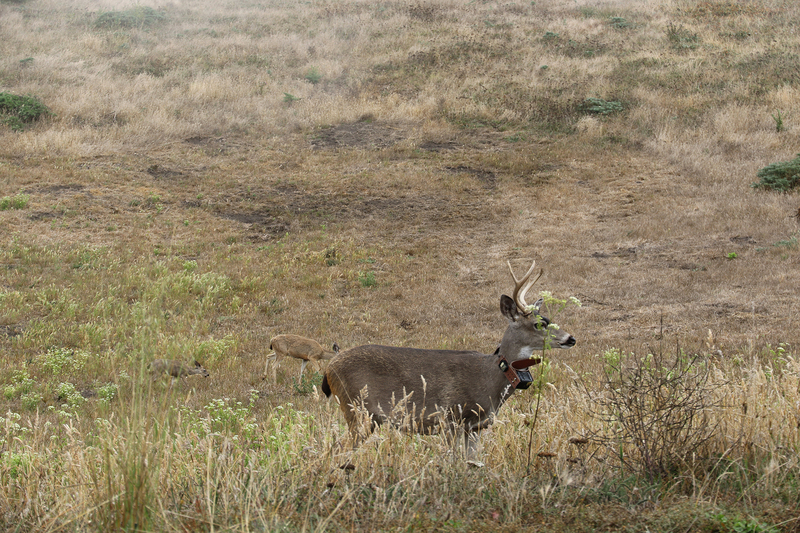 Out past the final ranch, we spotted Black-Tailed Deer beginning their evening feeding. 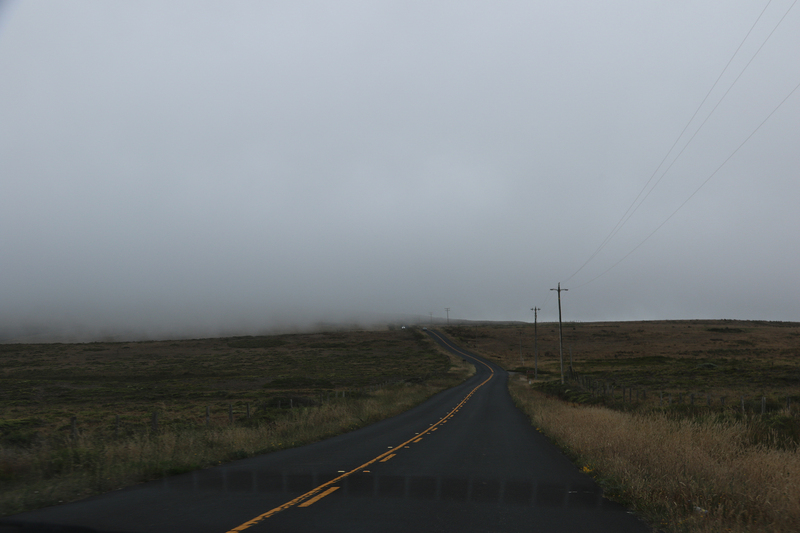 It felt like the world was closing in as the road began climbing up toward the western tip of Point Reyes. Frankly, it was. But we couldn’t see it. 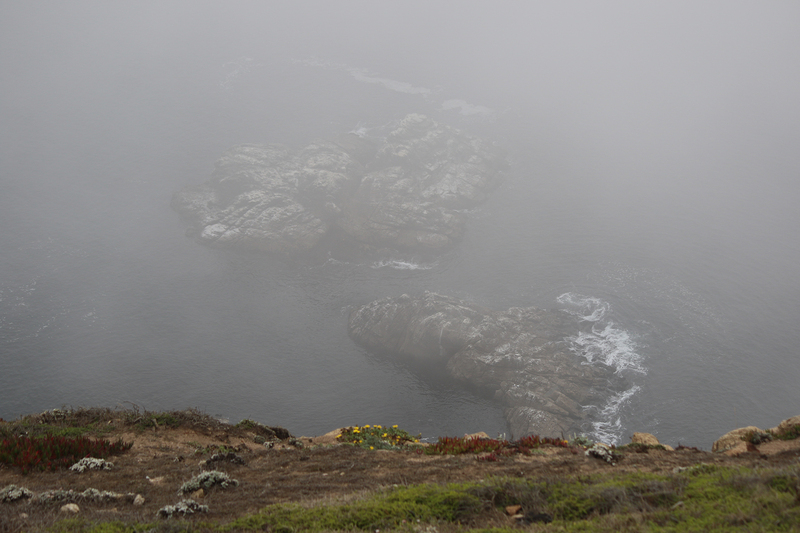 With the vistas of the ocean blotted out, and at times even the edges of the cliffs blotted out, it felt disorienting. 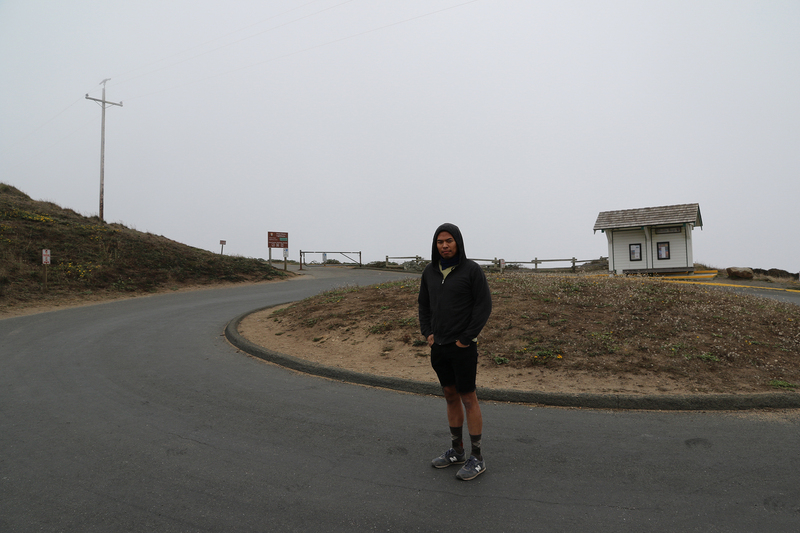 We reached the parking area for Point Reyes Lighthouse. 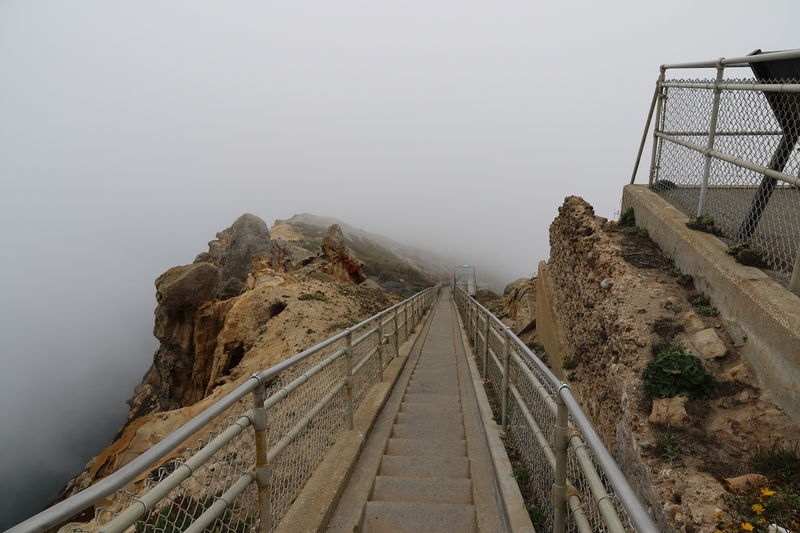 The famous staircase down to it, 300 steps, was farther on at land’s end. 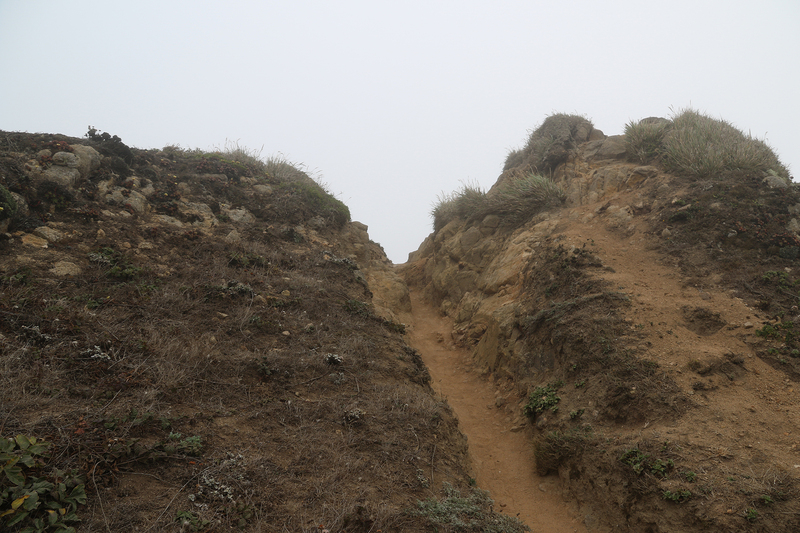 The short road to it was inaccessible to visitors, but was used by NPS staff to get to the Lighthouse Visitor Center. 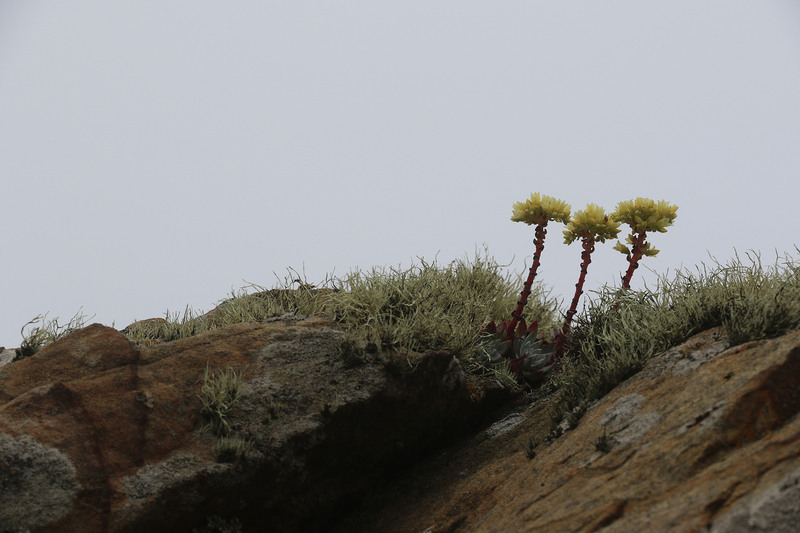 Strong and steady, the wind drove the fog across the road, across us, and across the hardy plants we walked past. 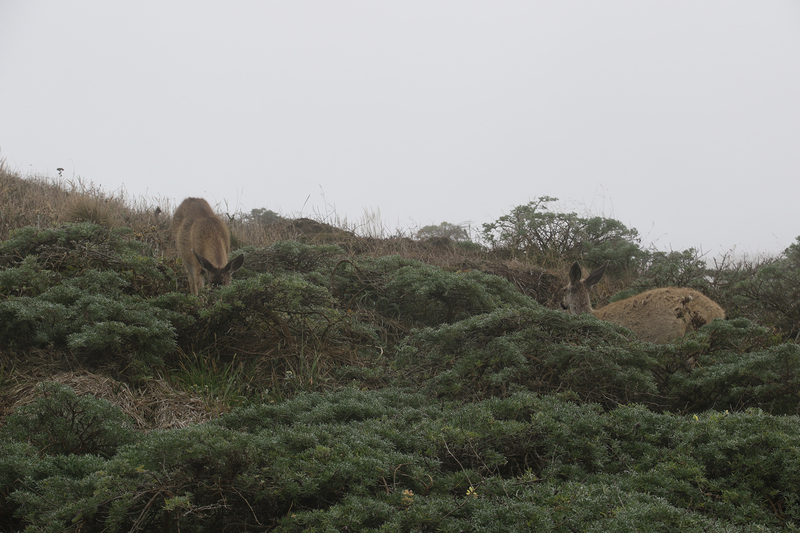 Above the road, Black-Tailed Deer continued their evening meal. 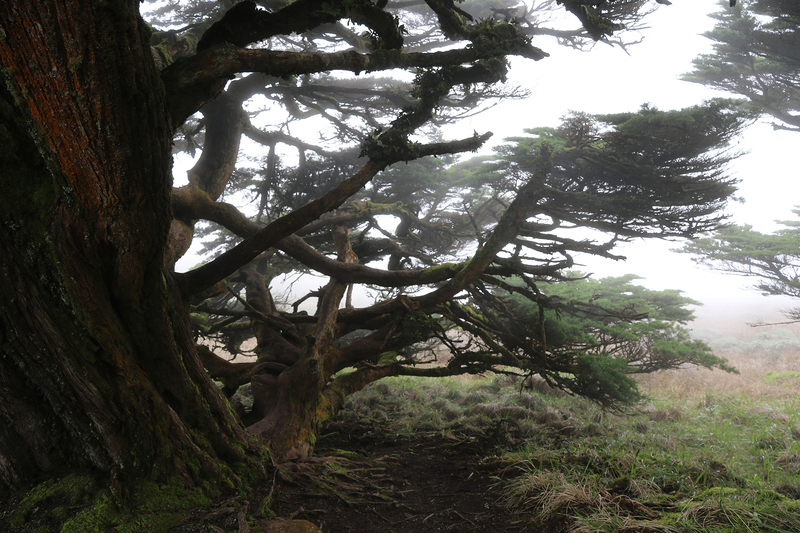 Beyond the end of the road, a paved path led beneath a stand of Monterey Cypress. And then we were there at Lighthouse Visitor Center. 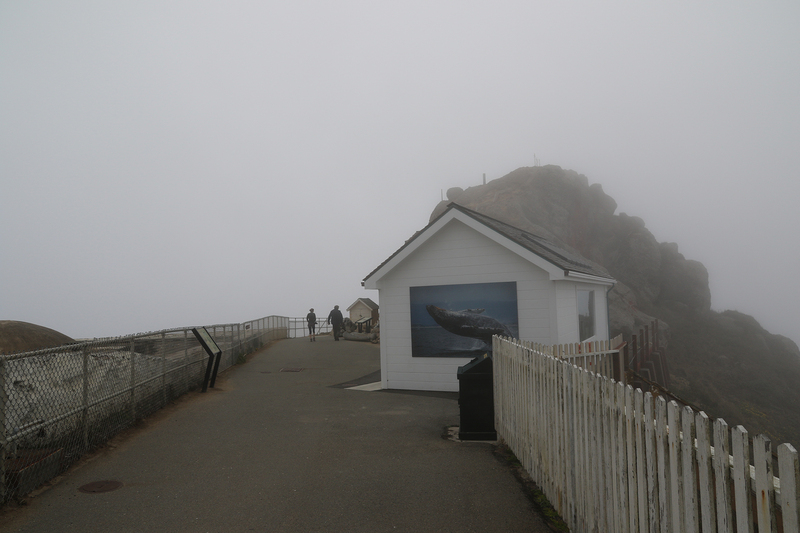 Unfortunately both the visitor center and the lighthouse stairs were closed. 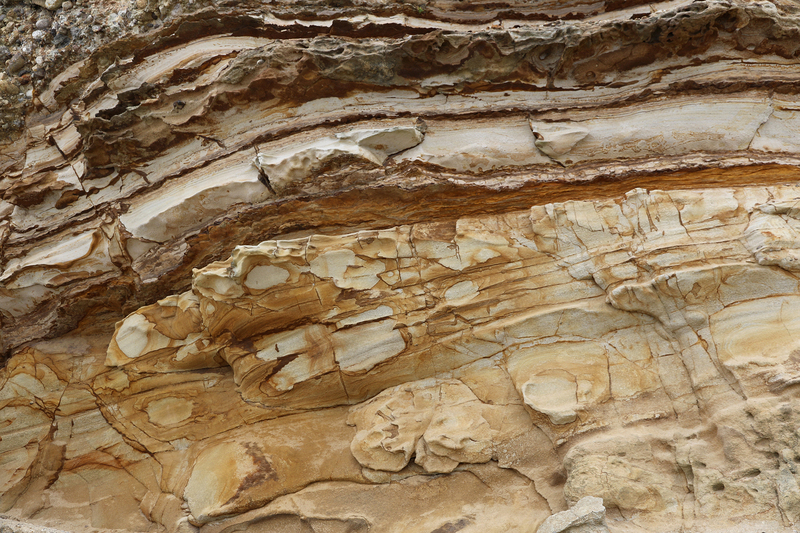 So not only could we not see it from the top of the cliffs, but we couldn’t walk down to it. 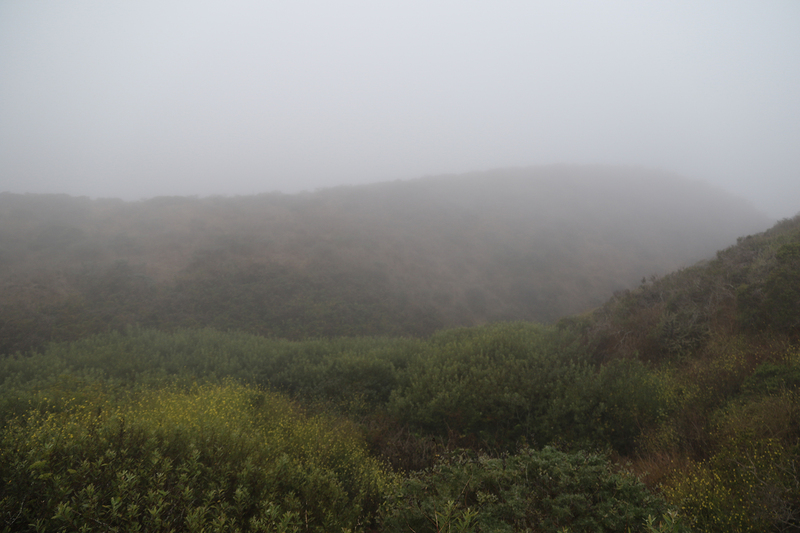 As we stood staring out into the fog, two cyclists rode up, obnoxiously not walking their bikes until they were on the viewing platform. 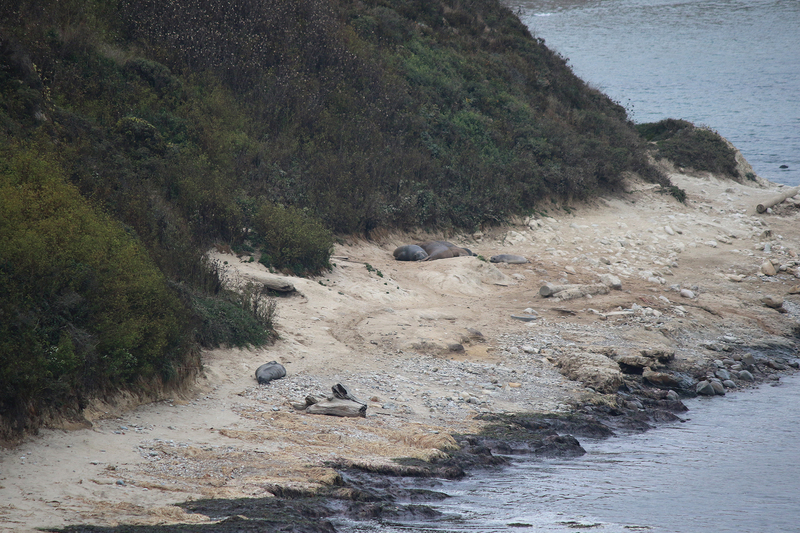 We’d see them later on riding back down the long road back to Olema. 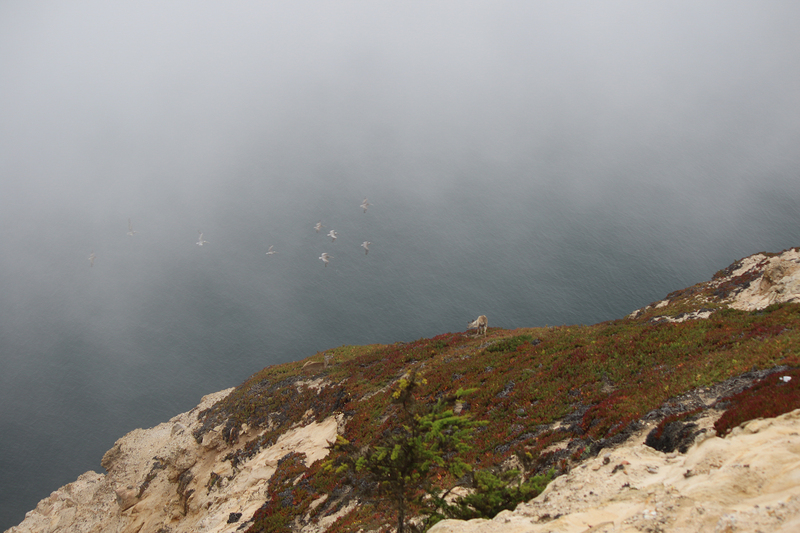 To the south, we spotted a young Black-Tailed Deer making its way along the steep slope above the cliffs, high above a flock of Brown Pelicans soaring by. After a moment, we noticed other deer on the slopes. 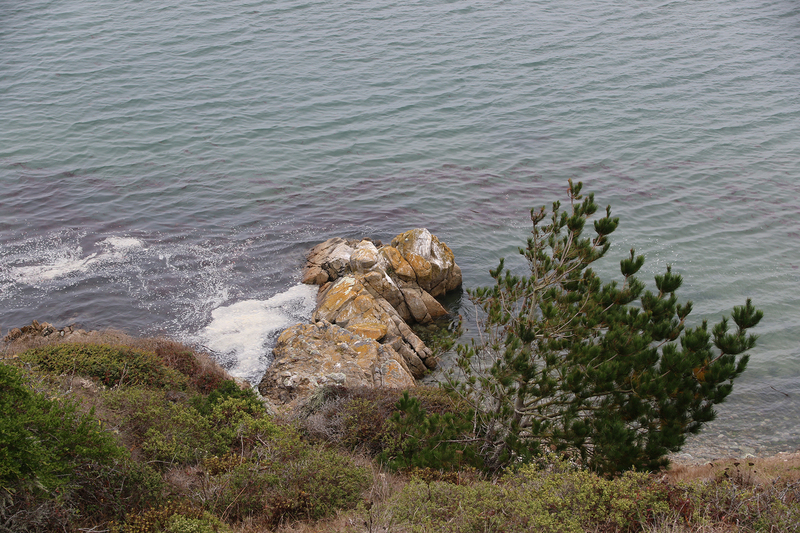 We made our way back to the parking area and then walked up the path to Sea Lion Overlook. 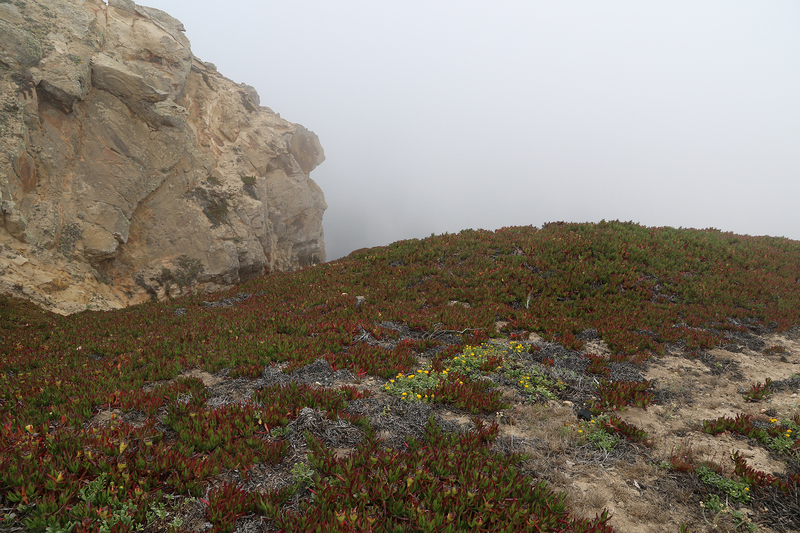 The fog was denser here than it had been right at the western edge of the point. 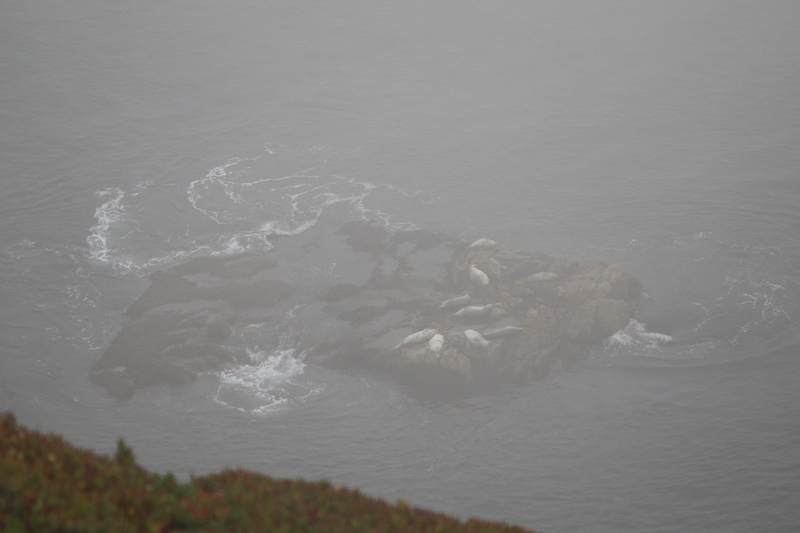 Below us we spotted Harbor Seals hauled out on some rocks, but no Sea Lions. 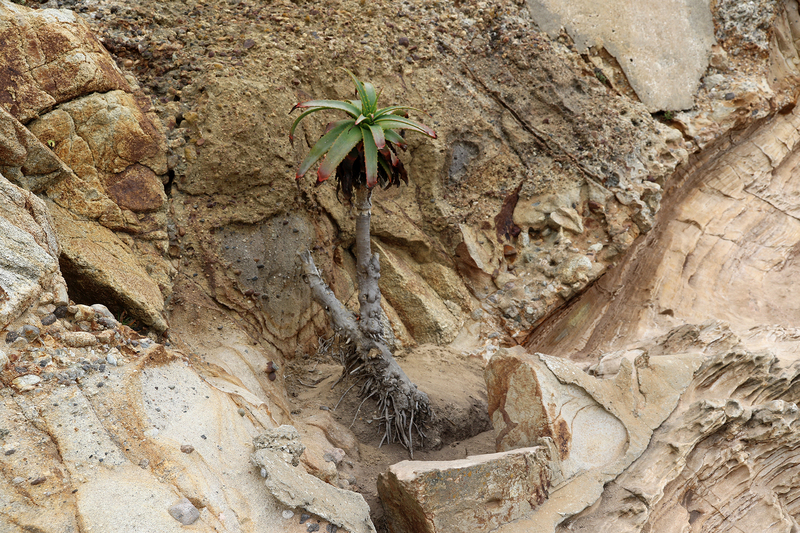 We also saw a family ignoring the warning signs about the unstable cliffs and blithely walking out into the indicated danger area. 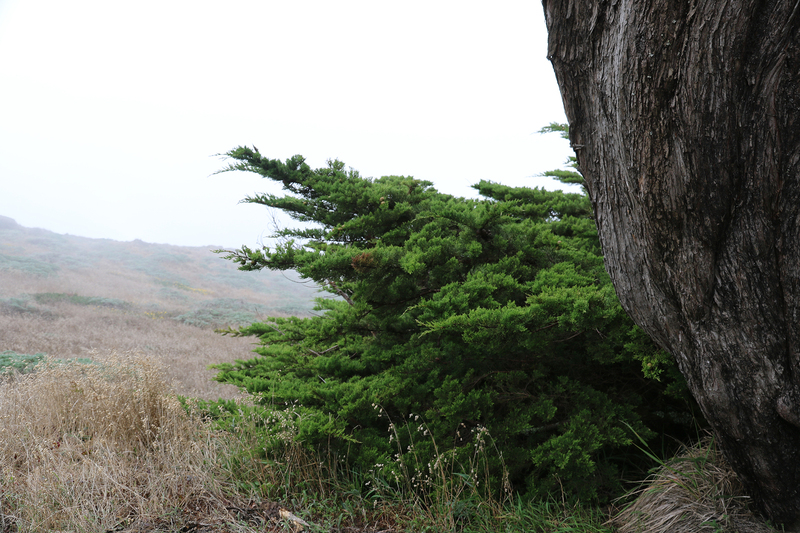 Back in the car, we drove to the eastern end of the point, parked, and walked out on the short trail to Elephant Seal Overlook. 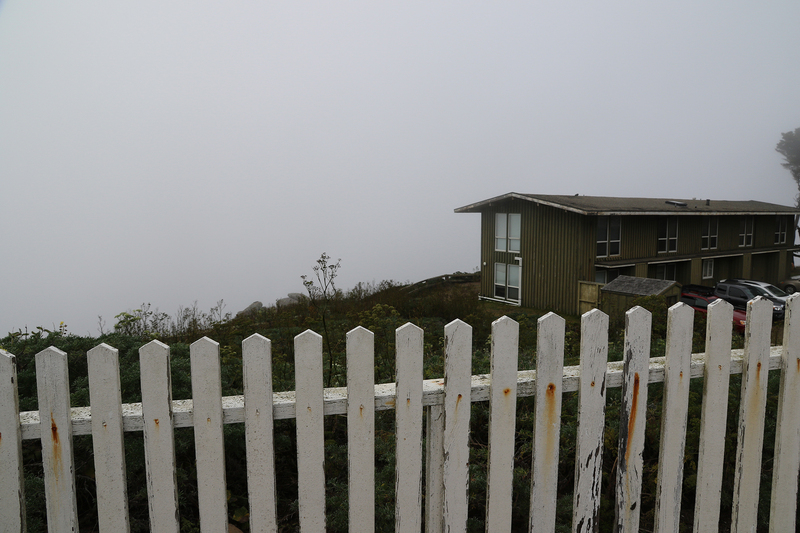 Although still intensely foggy above us, we were now below the fog and had a good view of Drakes Bay and Drakes Beach. 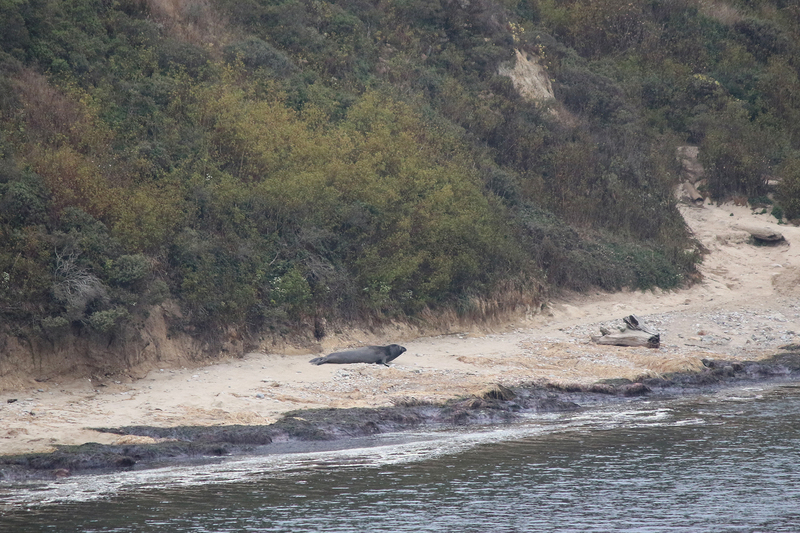 And out in the distance we spotted Northern Elephant Seals on the beach. It was almost 7pm when we climbed back into the car. 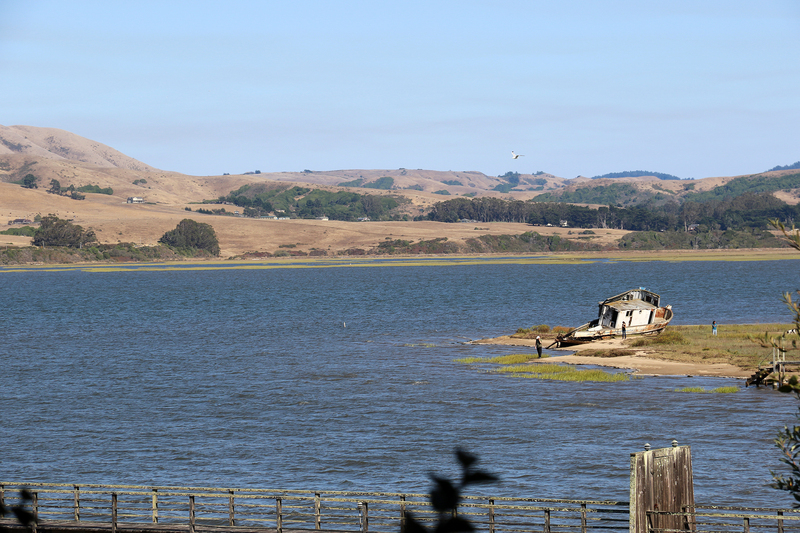 We had about an hour and fifteen minutes before sunset and one more thing we wanted to see at Point Reyes, the Tule Elk Reserve way out at Tomales Point at the far northern tip of the peninsula. 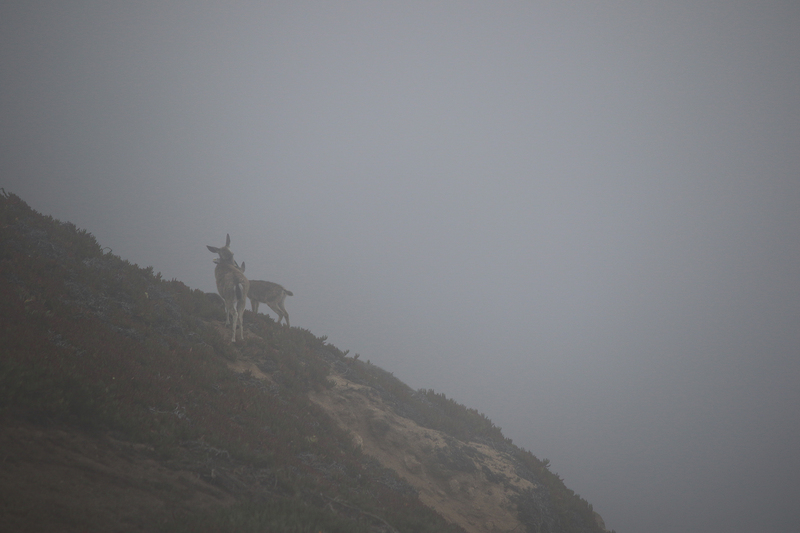 We had no guarantee we’d see any elk or that we’d be able to see anything at all in the fog, particularly as the light failed, but we were both game to try. So off we went. 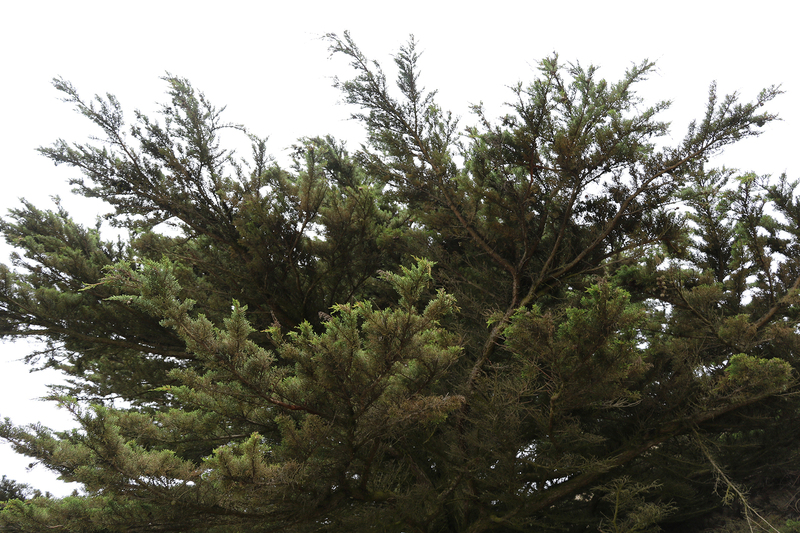 The drive back down Sir Francis Drake Boulevard and then north on Pierce Point Road took us about forty-five minutes. 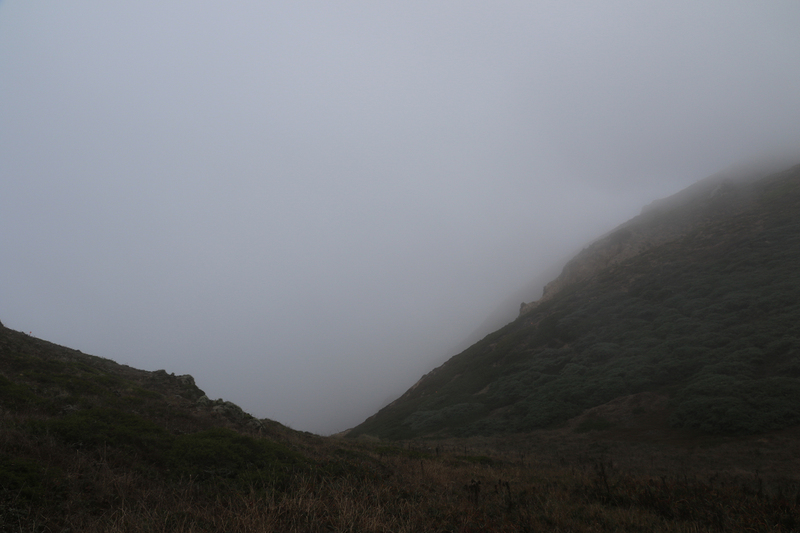 If we had thought the fog was mysterious on the way to Point Reyes, it was quite a bit more so on the way to Tomales Point. 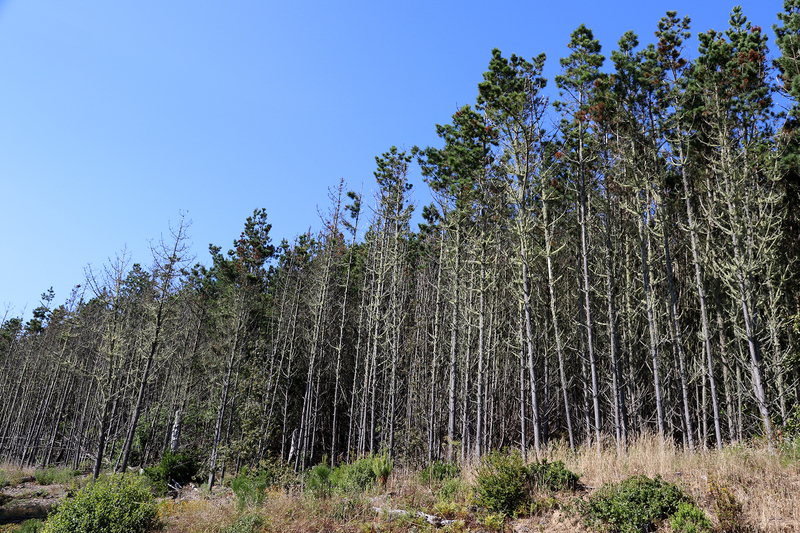 Everything felt more desolate with a few ranches strung out along the way. 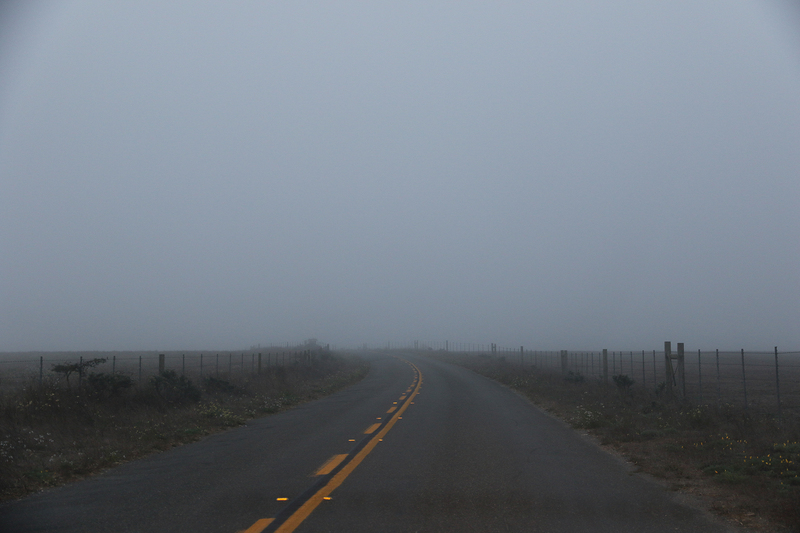 In the fog, I hit a rabbit that had run out in front of the car. I had hoped that I’d not actually hit it, but on the way back, I saw that it was indeed dead in the road. I didn’t think I’d ever killed anything in a National Park before. It didn’t feel great, even if there had been nothing I could have done. 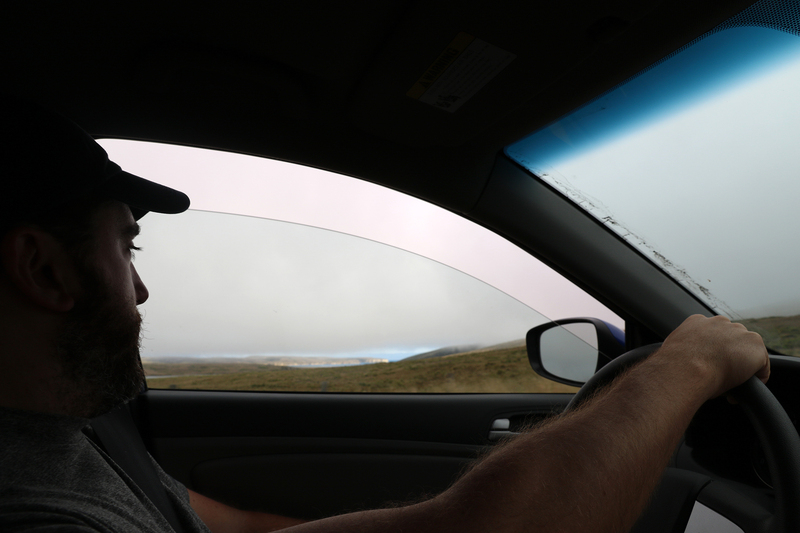 We reached the boundary of the Elk Reserve and began staring into the fog on either side of the road. 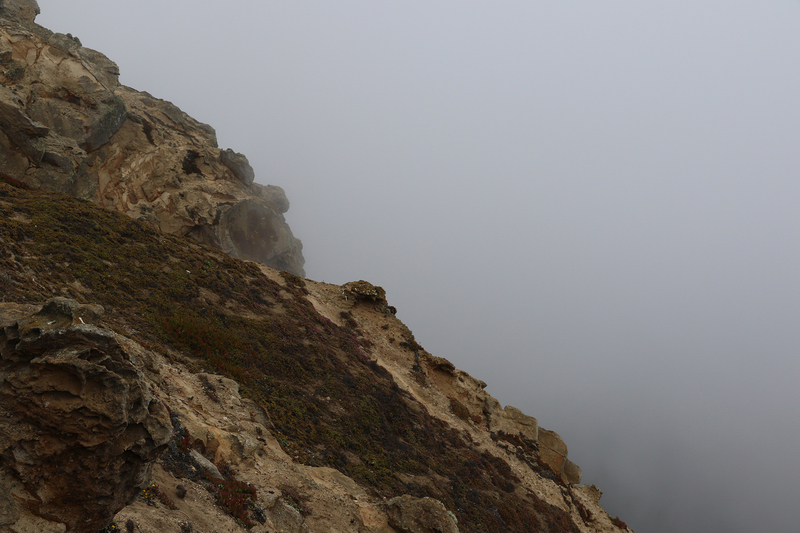 Sean did most of the staring as I navigated the not-great road’s twists and turns along the cliffs and bluffs. 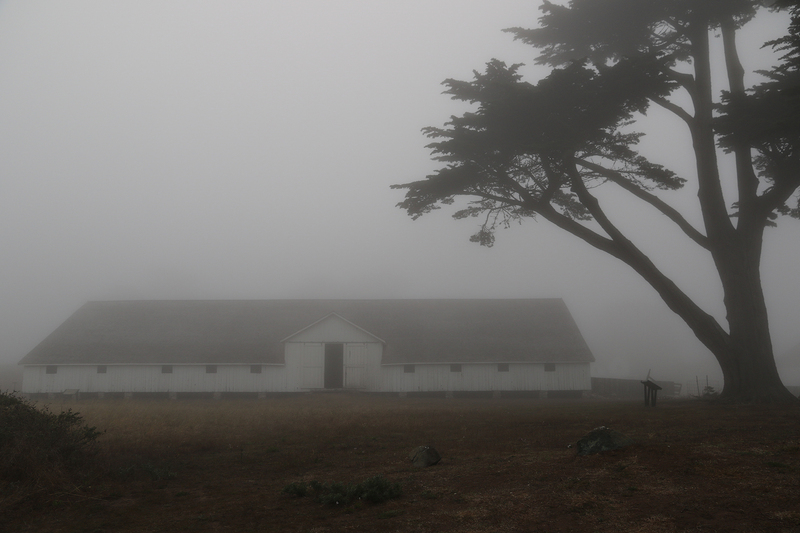 We reached the buildings of Pierce Point Ranch, which is now owned by the Park Service. 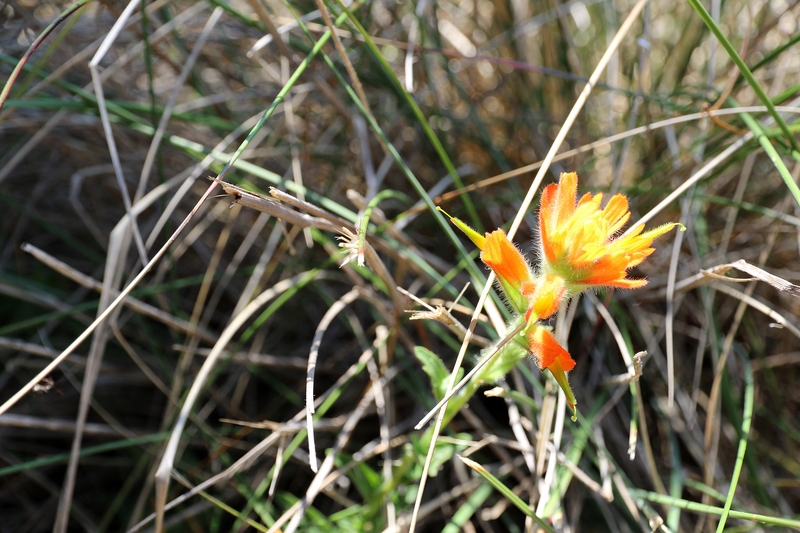 It’s this ranch’s property that comprised the refuge. 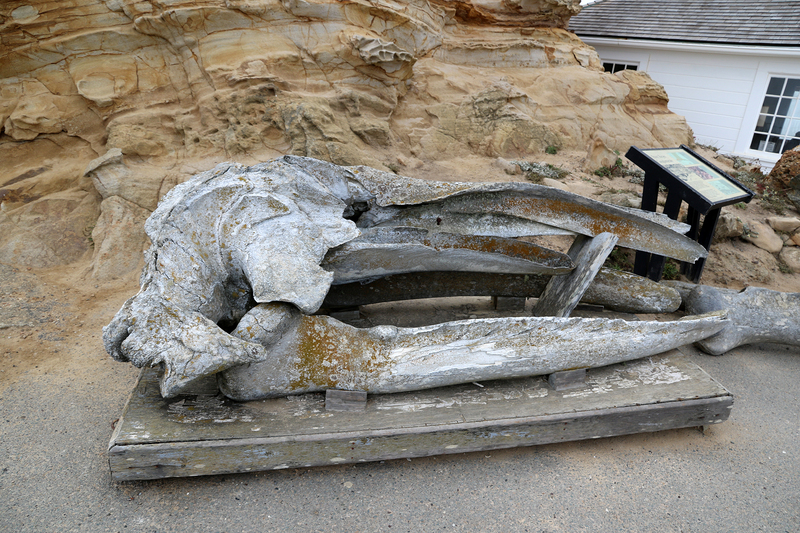 Near the ranch buildings, we parked at McClures Beach parking area and made use of the restroom. 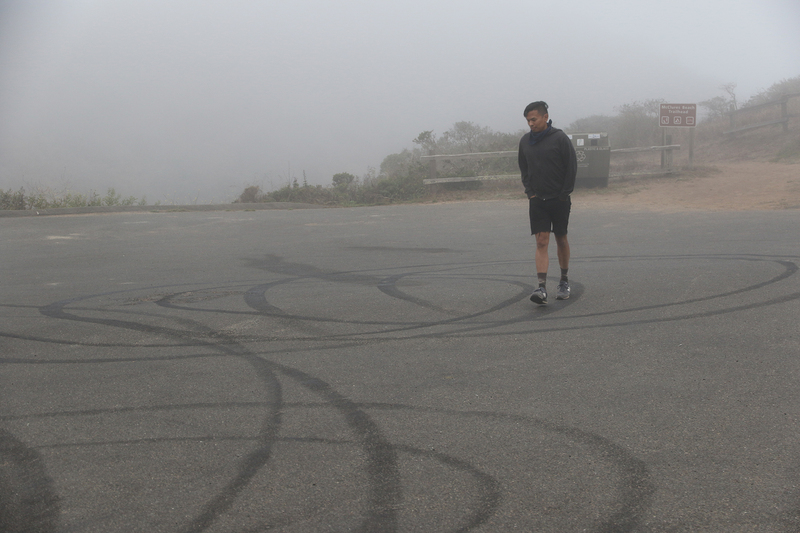 Sean traces old tire tracks in the parking area. 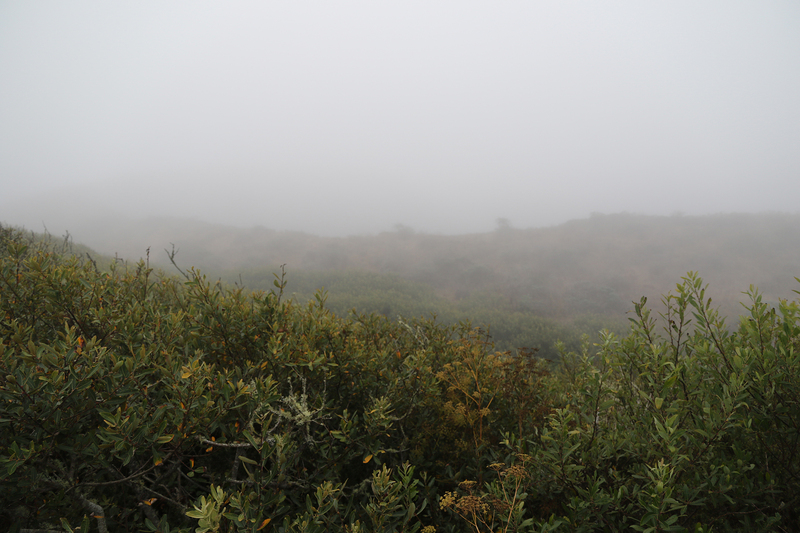 Although there were still twenty minutes to go before sunset, the fog was deep and the visibility terrible. 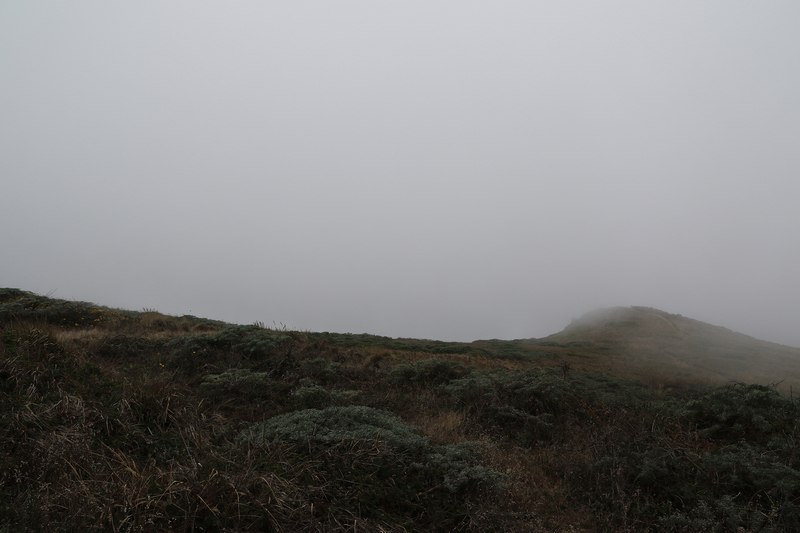 But still it was quiet and atmospheric and deeply lovely even if we’d not spotted an elk. 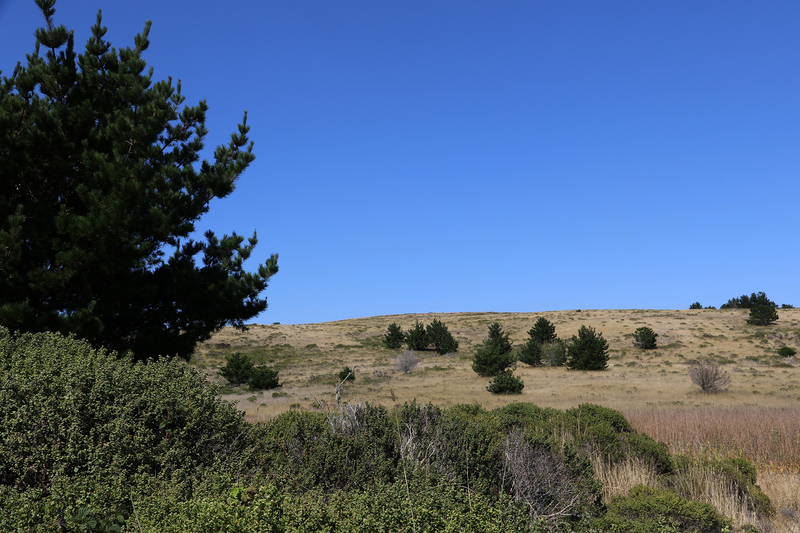 We got back in the car and had driven fifty feet, when suddenly there was a Tule Elk off to the left in the tall brush. 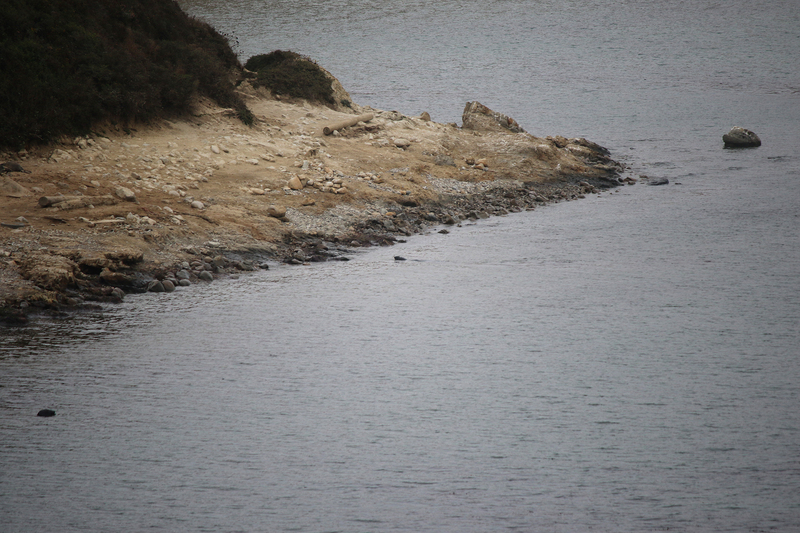 It was having its evening meal and ignored us utterly. Tule Elk are the smallest subspecies of elk and are found only in California. It is thought that by the 1870s hunting and habitat loss had reduced the world’s total population of Tule Elk to a single breeding pair, although subsequent DNA tests offer evidence that there must have been at least a third individual. Nevertheless, conservation efforts throughout the twentieth century saved the Tule Elk, and now there are about 2,000 living in 22 groups in California. After saying farewell to the Tule Elk and pausing for a few photos of the ranch, we began our drive back to San Francisco. 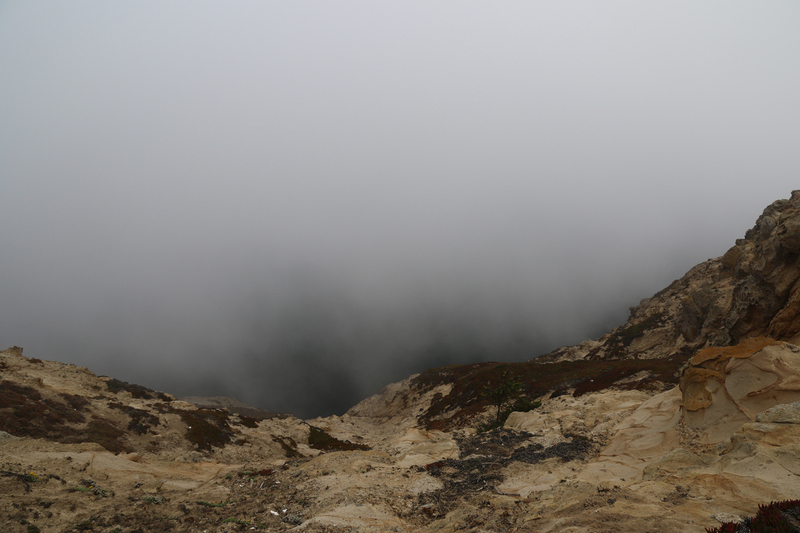 As we drove, darkness deepened the gray of the fog. 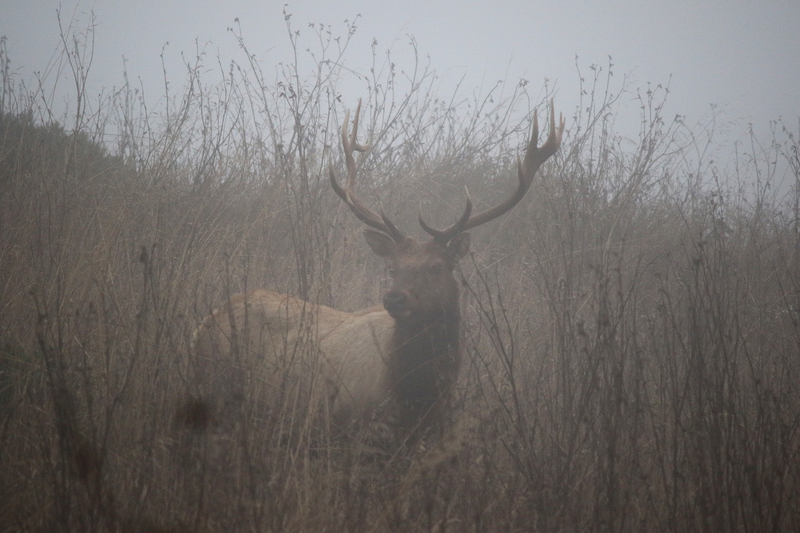 Sean spotted another Tule Elk browsing near the edge of the refuge area, but it was too foggy to get a good photo. 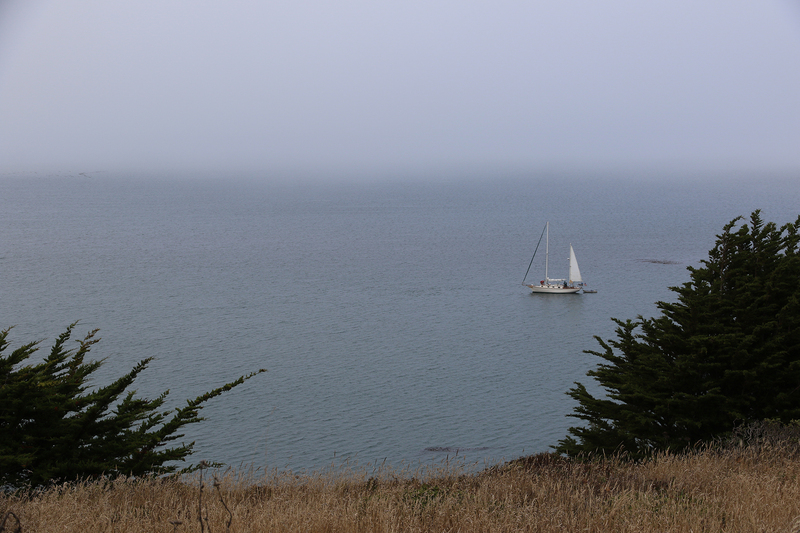 There was, though, some visibility still as we turned left in Olema and headed back to the Golden Gate Bridge away from the coast. 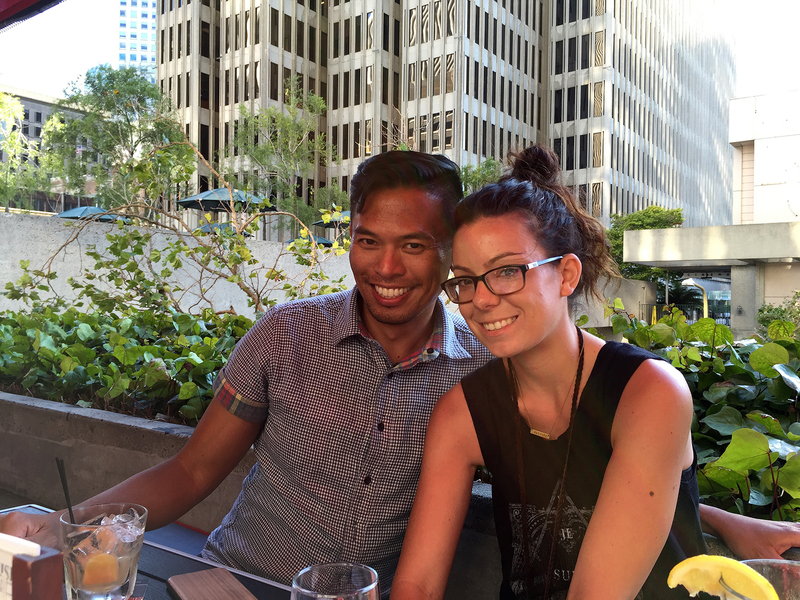 Back in San Francisco we went out for a late supper in Hayes Valley. Next morning dawned clear and beautiful in the city. We spent the day walking around and exploring before heading downtown in the late afternoon, all on foot, to have a drink with my cousin, Amy, who was on her way back to the Bay Area from a visit to Michigan. Later on we met up with a college friend of Sean’s and his partner for vegetarian sushi. 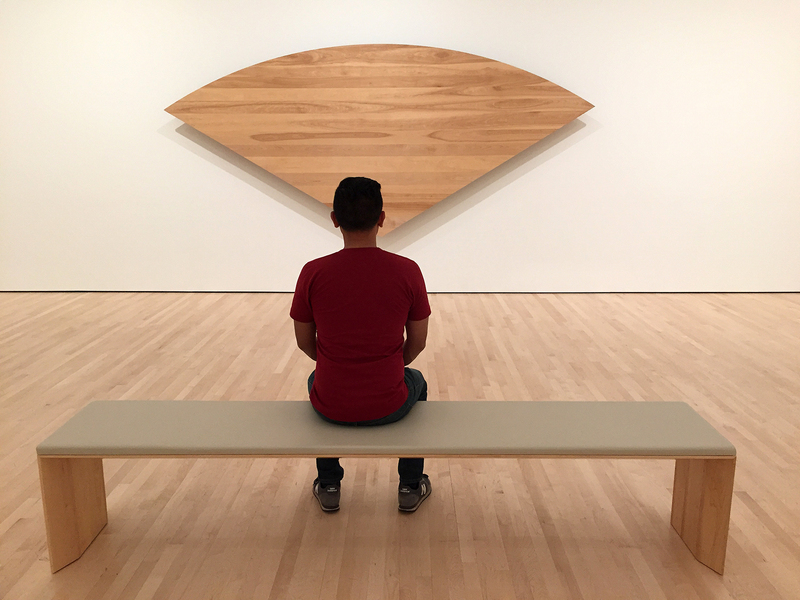 And the next day we spent a couple of hours at SFMOMA before our flight home. We were especially moved by the tribute to the recently passed Ellsworth Kelly. 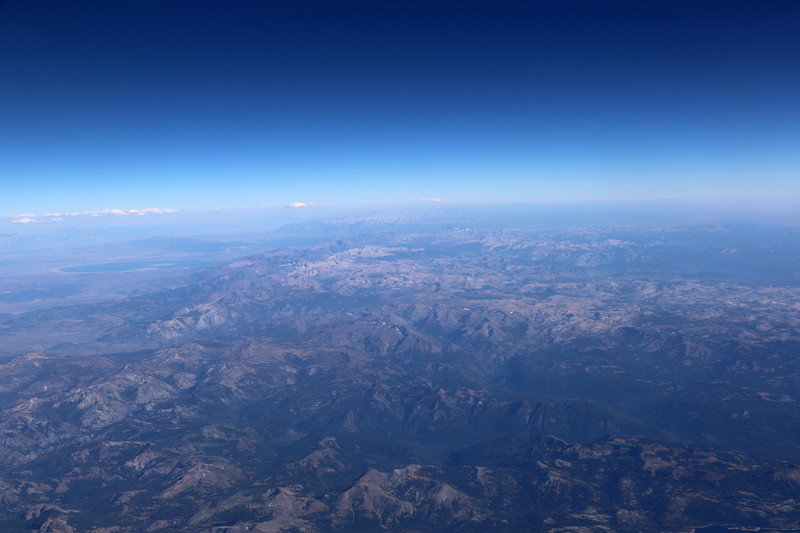 On the flight back to Chicago that Sunday evening we crossed the Sierra Nevada just south of Lake Tahoe. 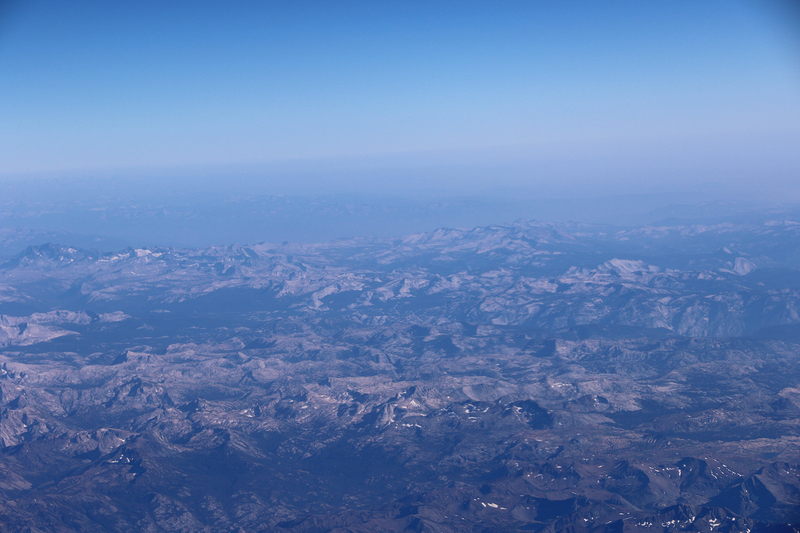 We were on the south-facing side of the plane, so we were afforded a view of Yosemite National Park from the north. 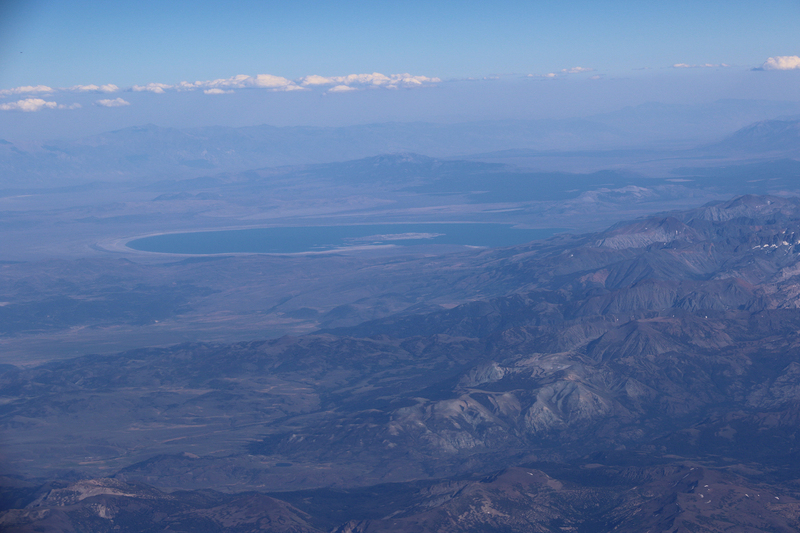 Orienting myself by Mono Lake (in the left of the frame above), I began snapping into the range. 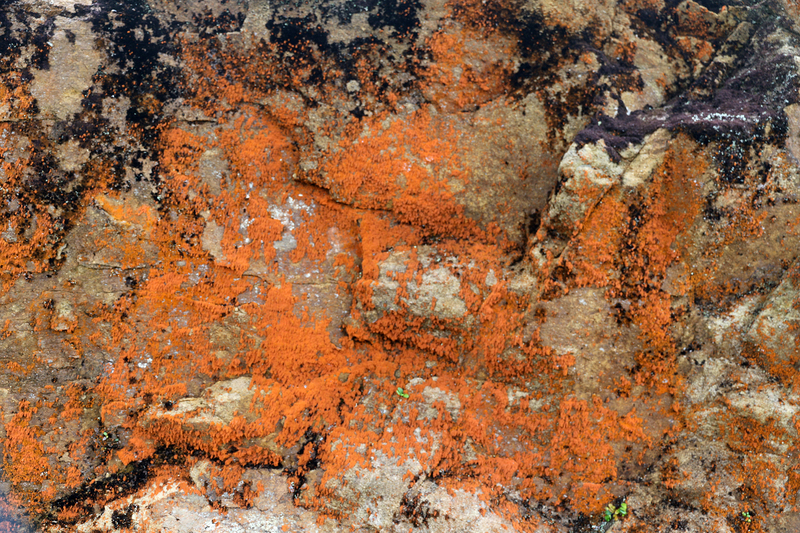 In the image below, the green, relatively flat area to the left is Tuolumne Meadows. 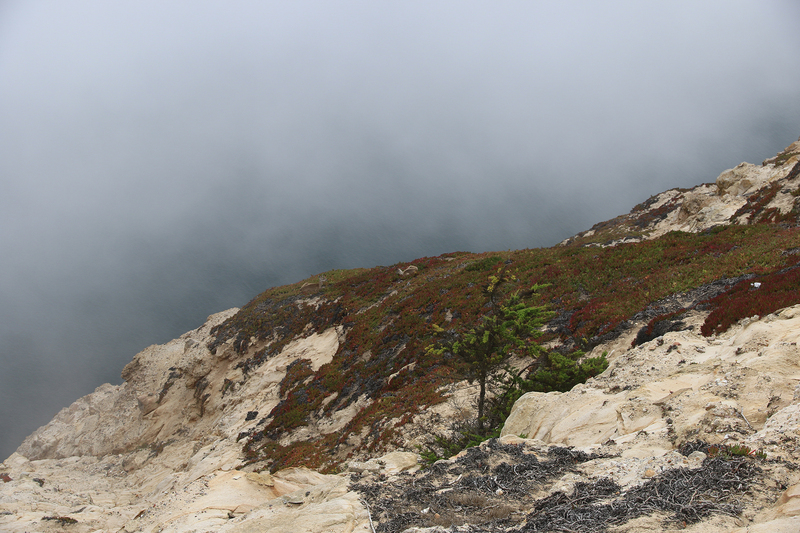 The distinctive light colored ridge to the right is Clouds Rest. And Half Dome and Liberty Cap glow to the right near the edge of the frame. Soon we were back in Chicago and back at home in our apartment. 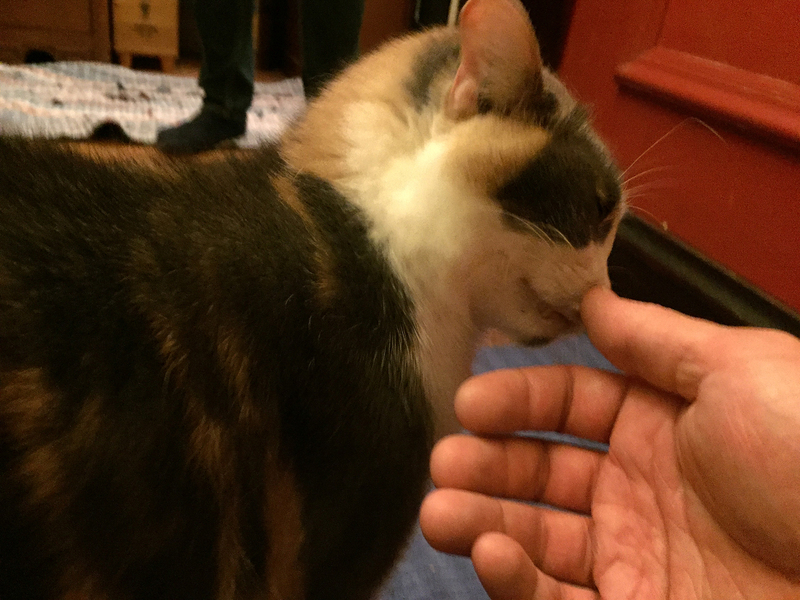 And Elsa was pleased to see us. 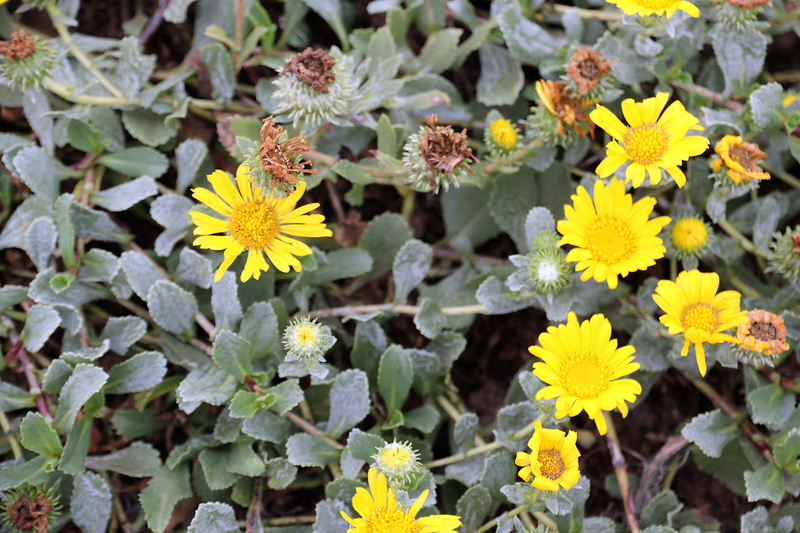 This entry was posted in Journey and tagged California, Day Hike, National Seashore on March 29, 2017 by Brandon Hayes.